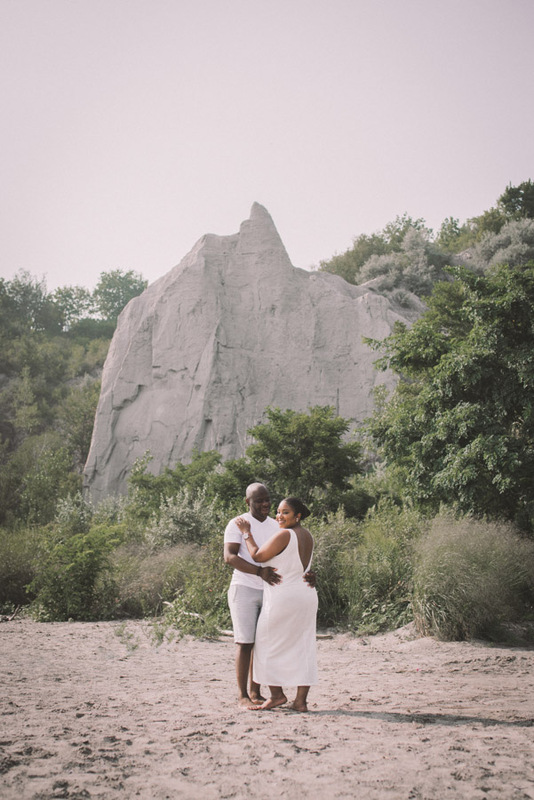 This past August I had one particularly busy weekend (among many!). 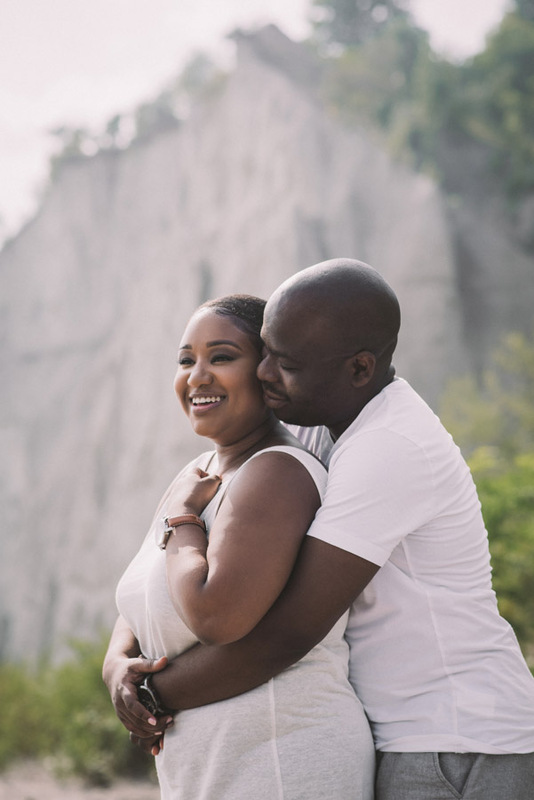 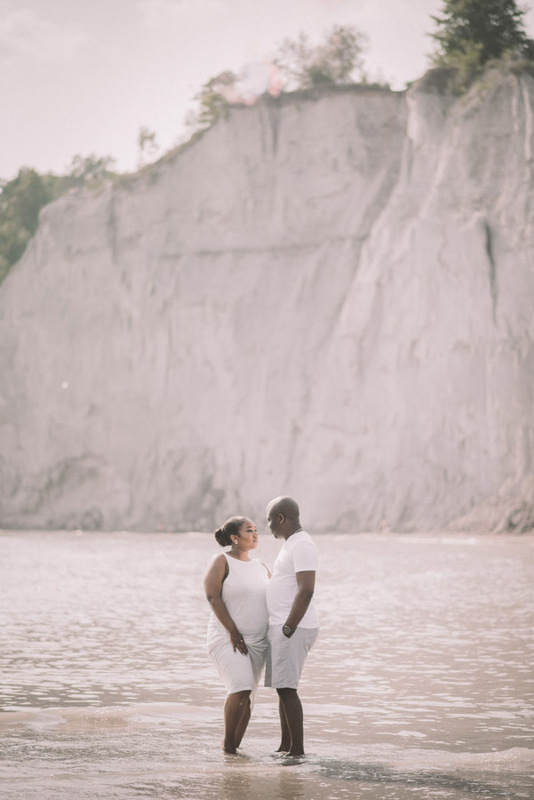 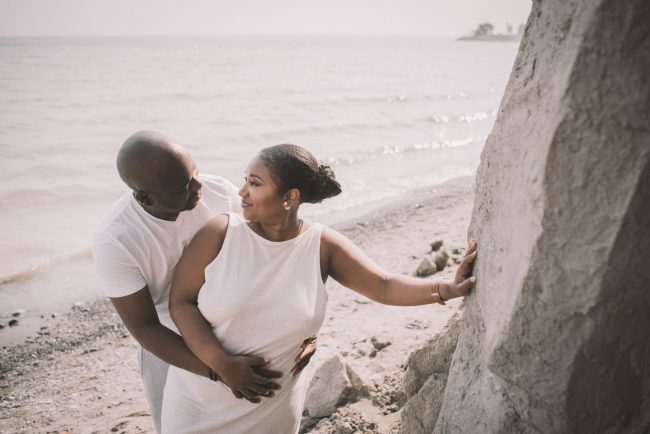 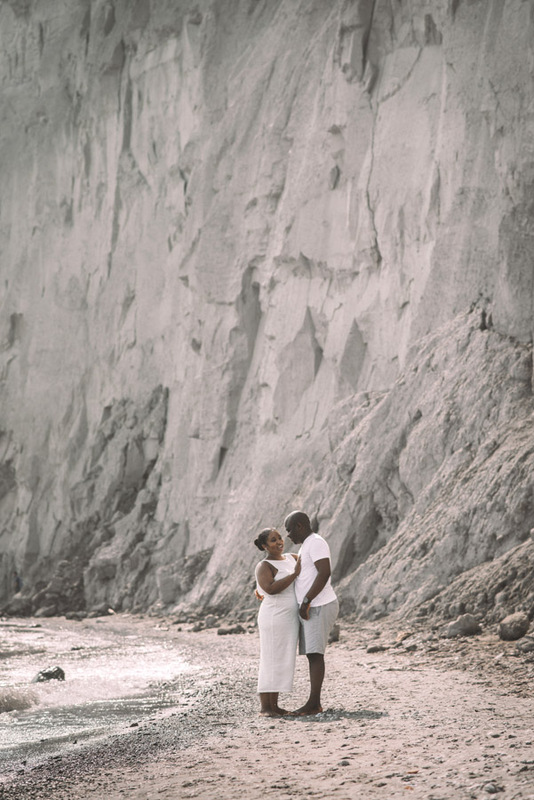 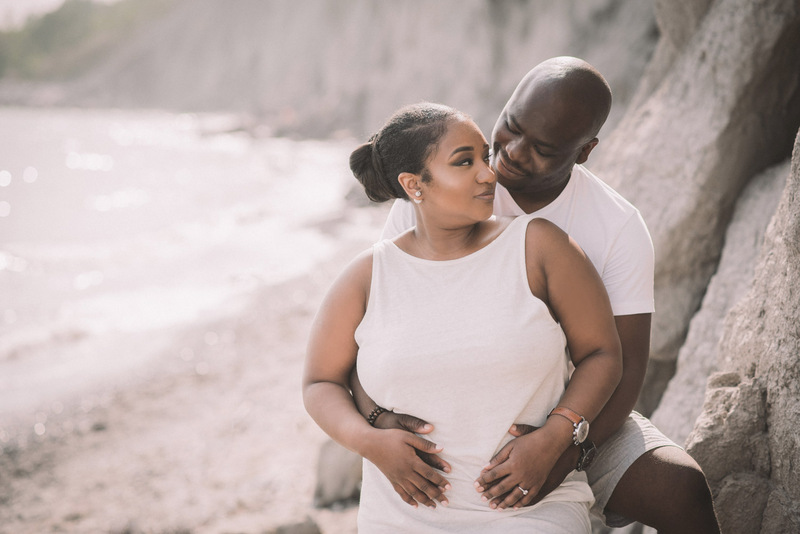 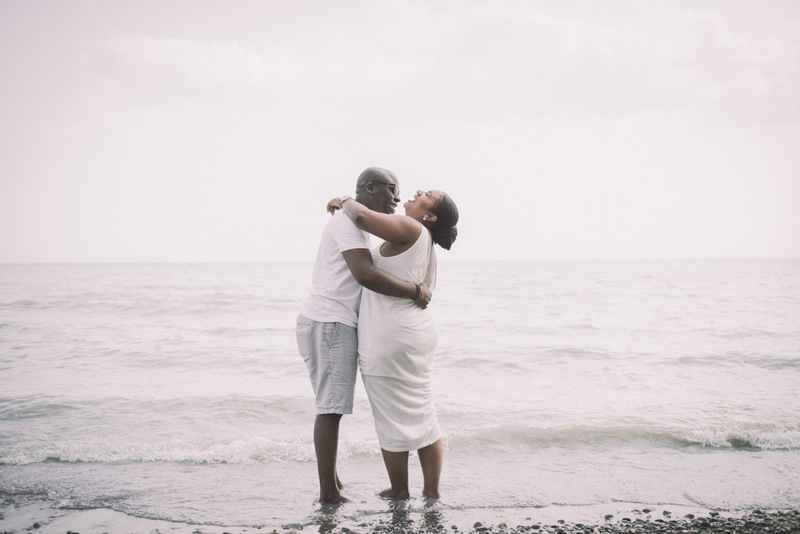 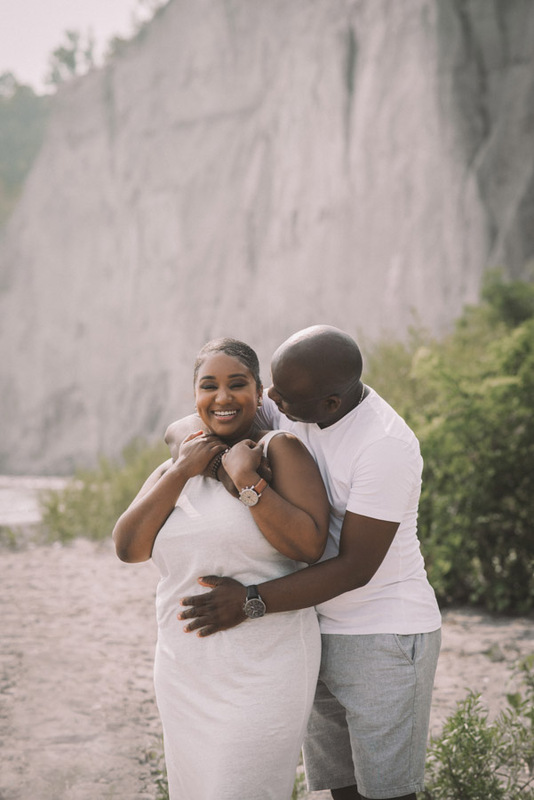 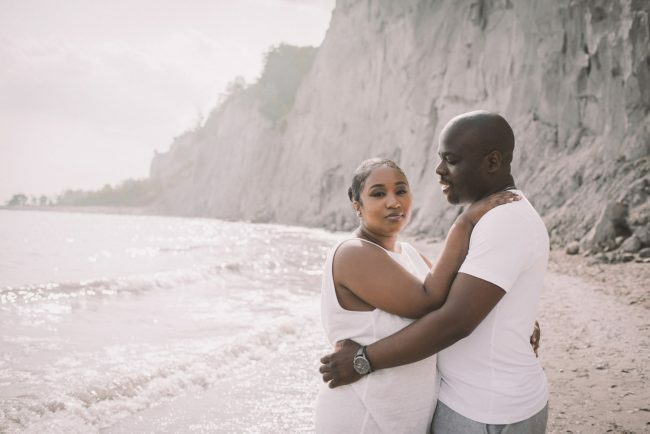 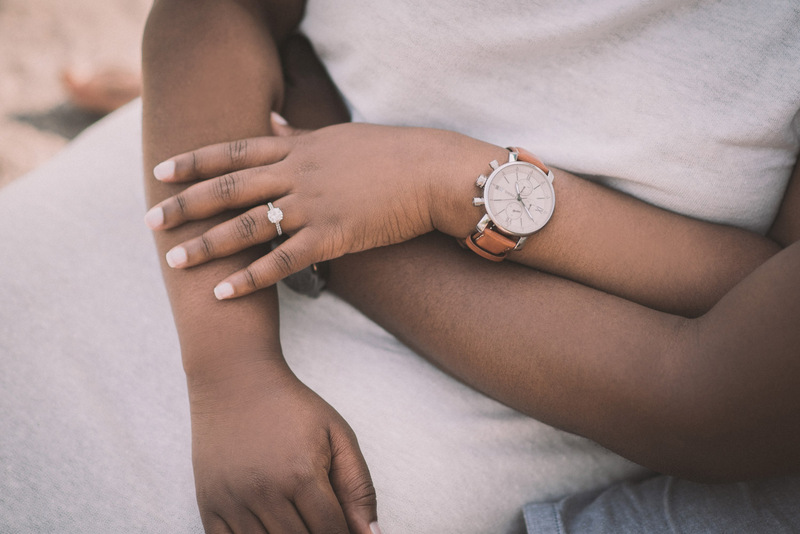 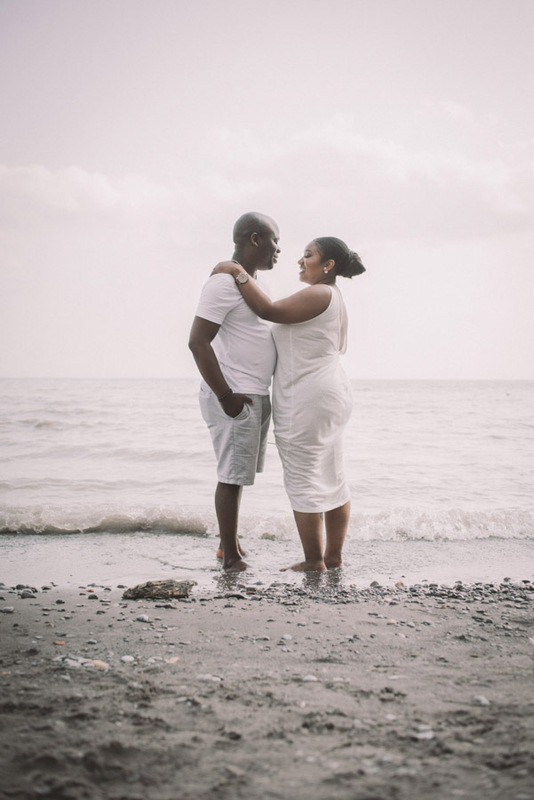 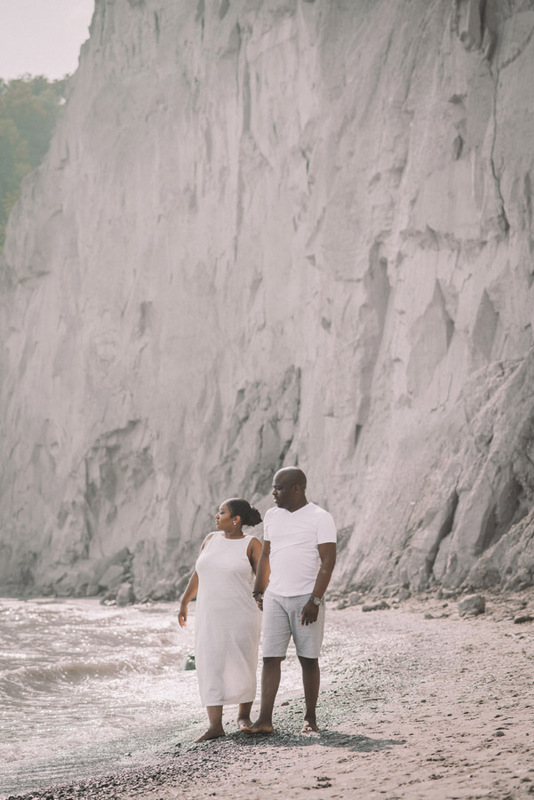 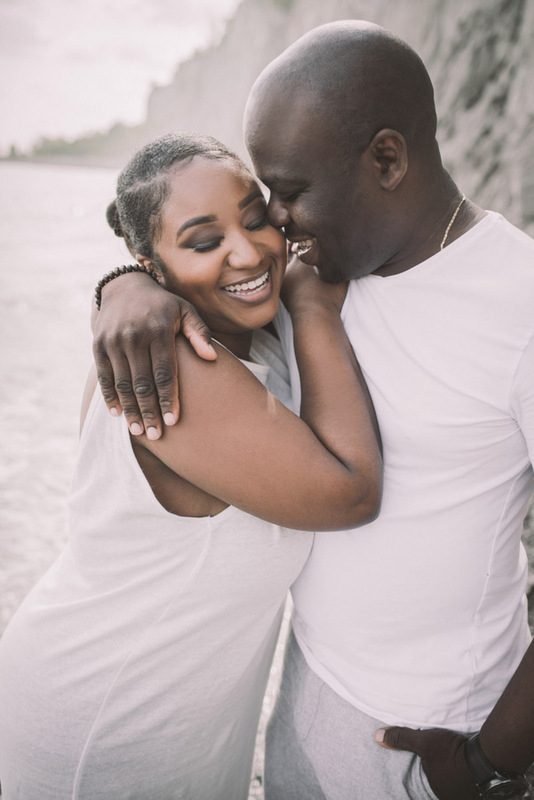 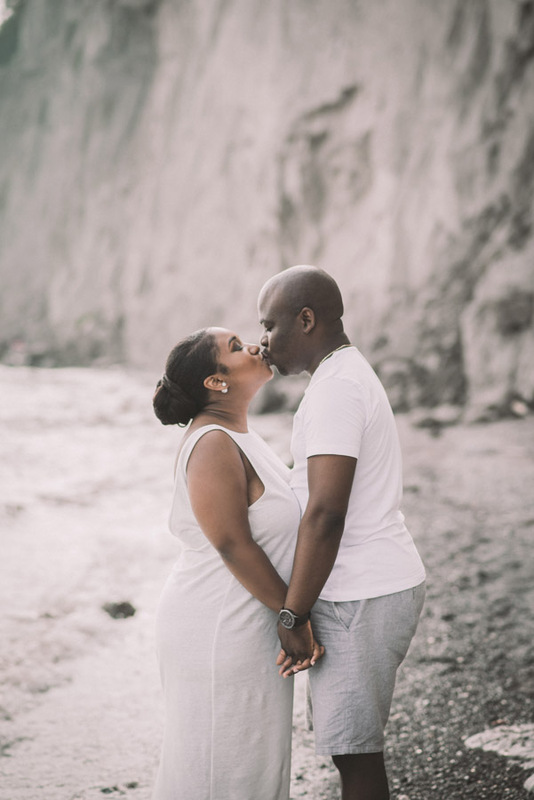 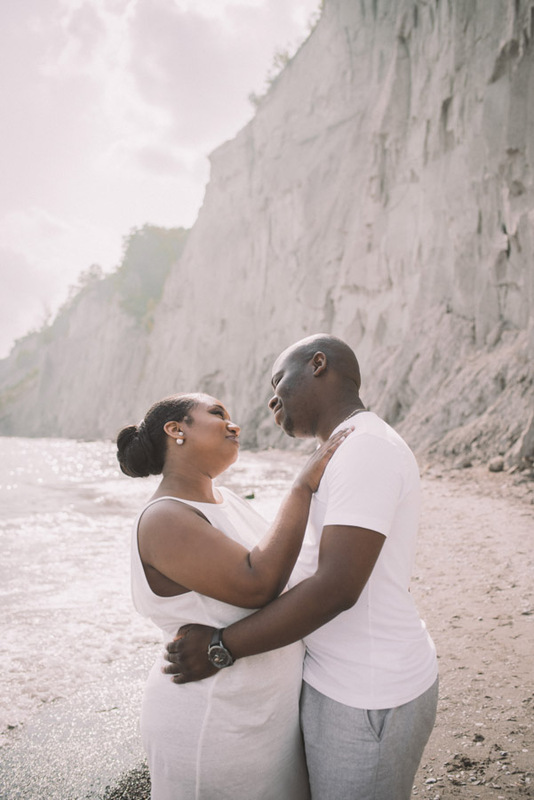 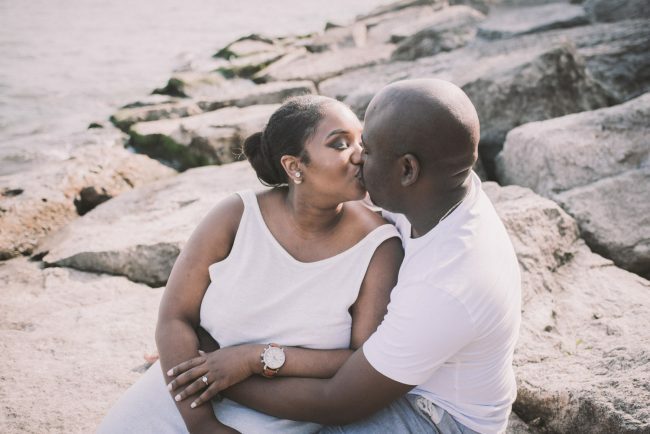 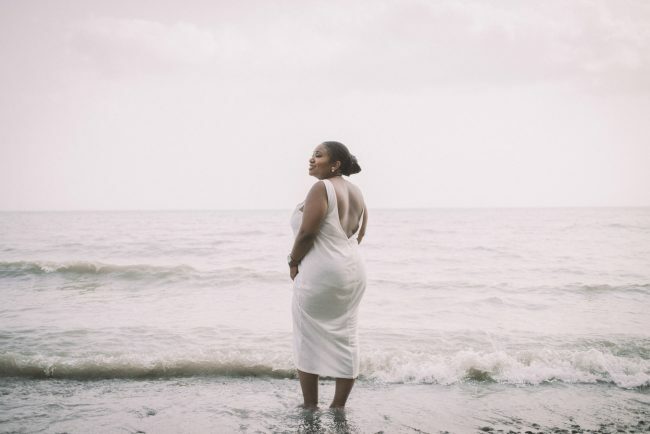 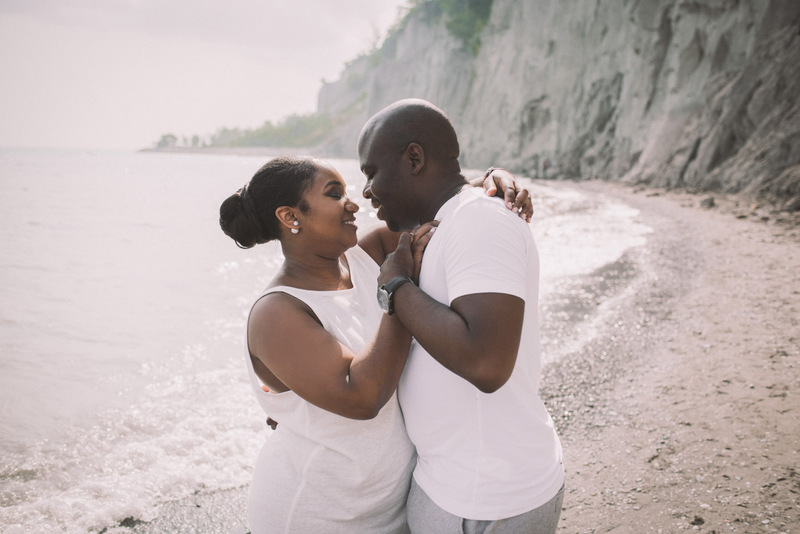 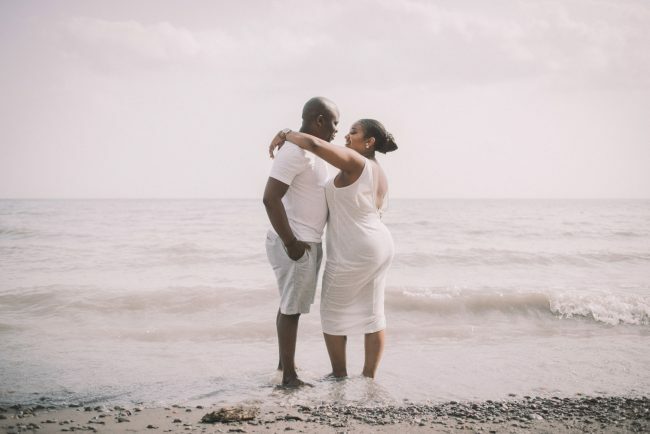 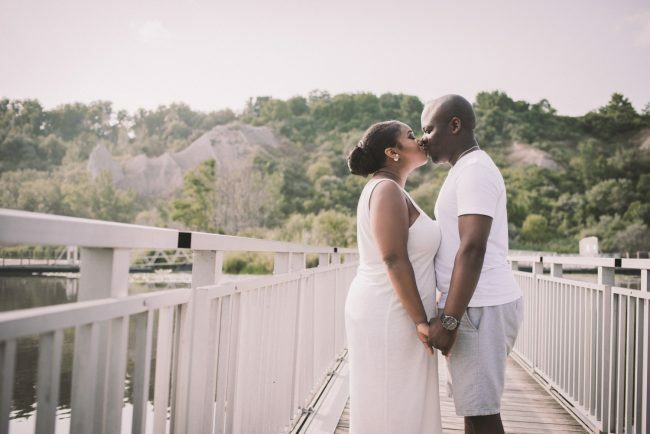 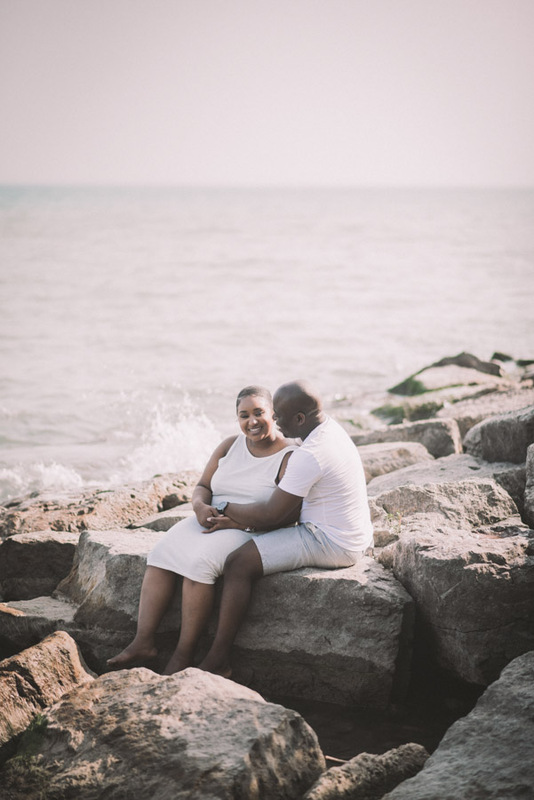 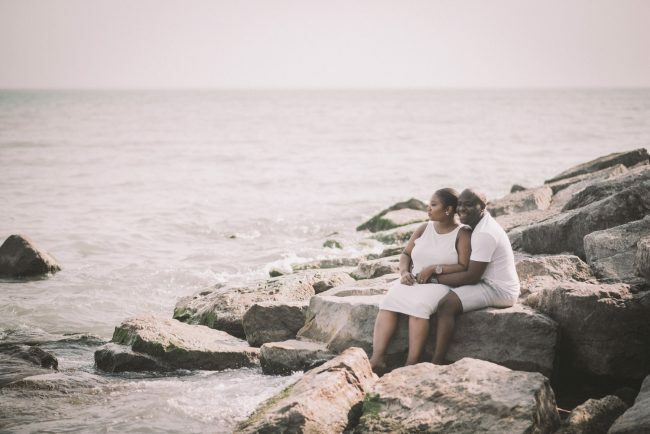 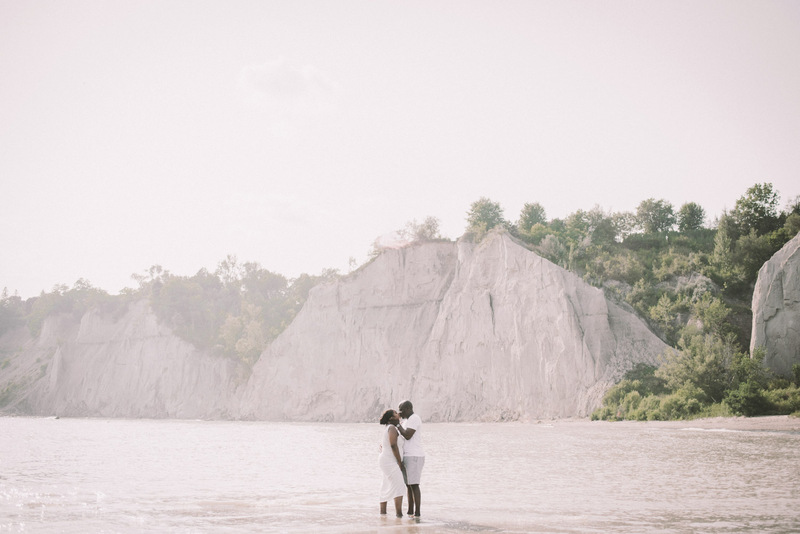 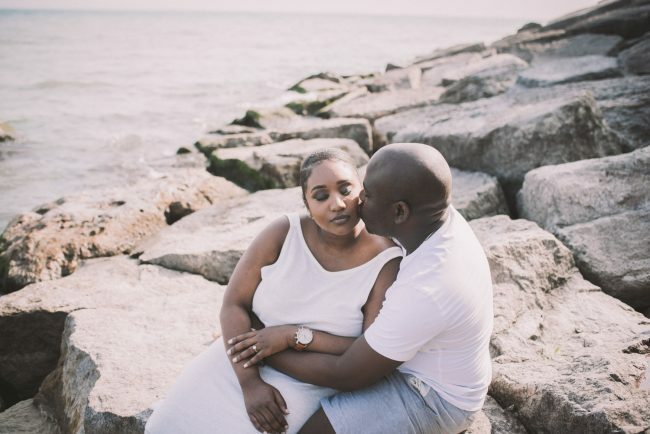 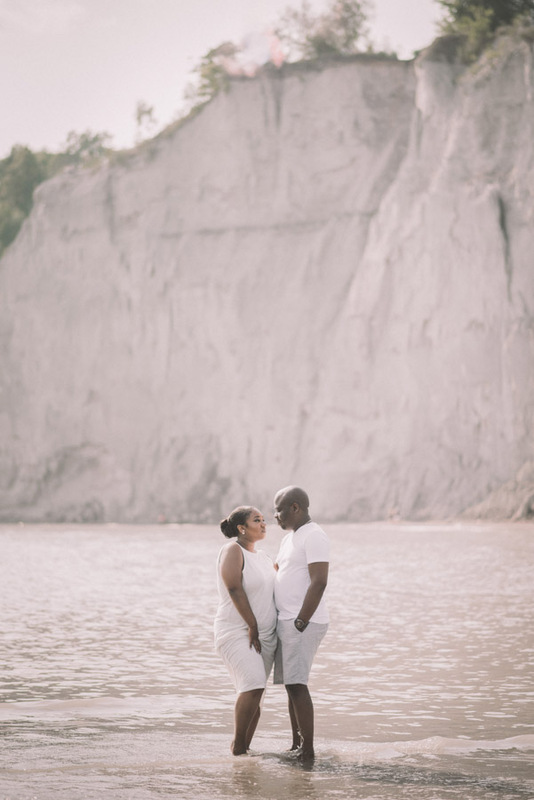 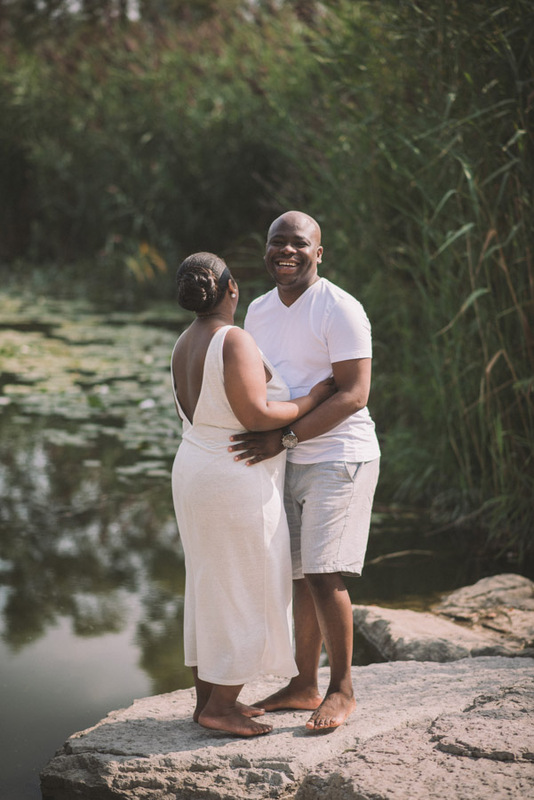 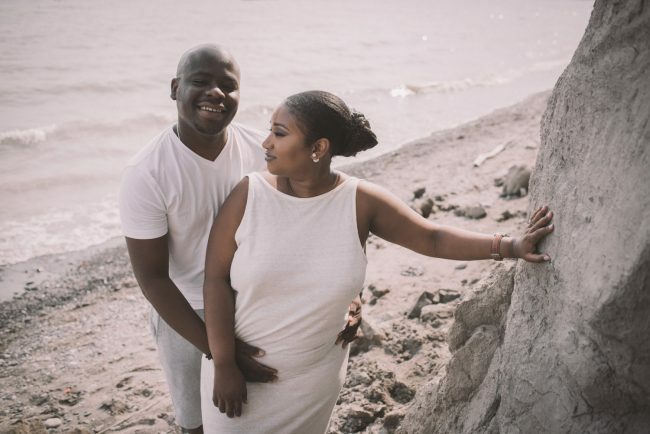 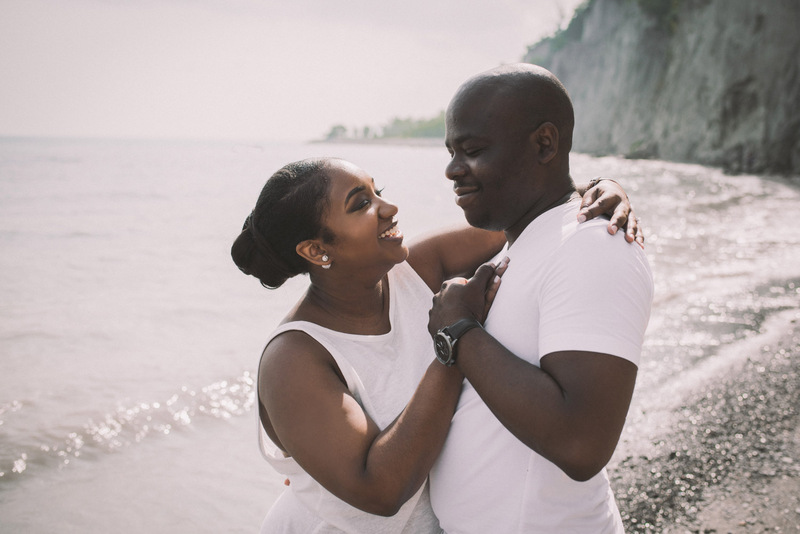 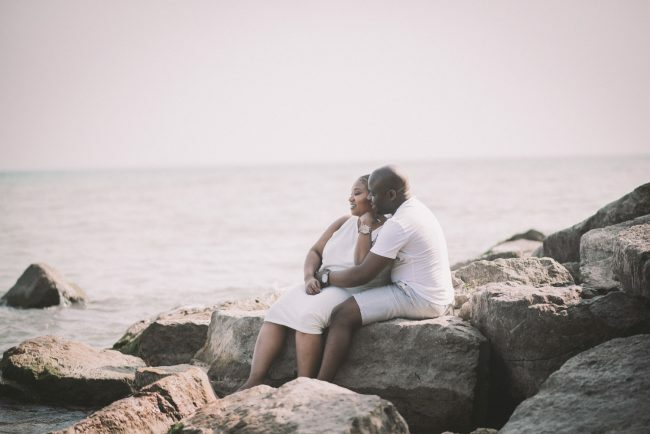 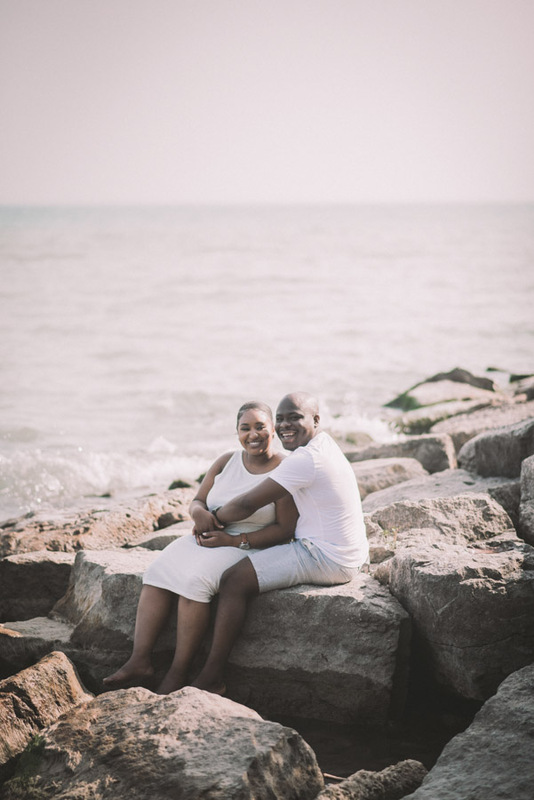 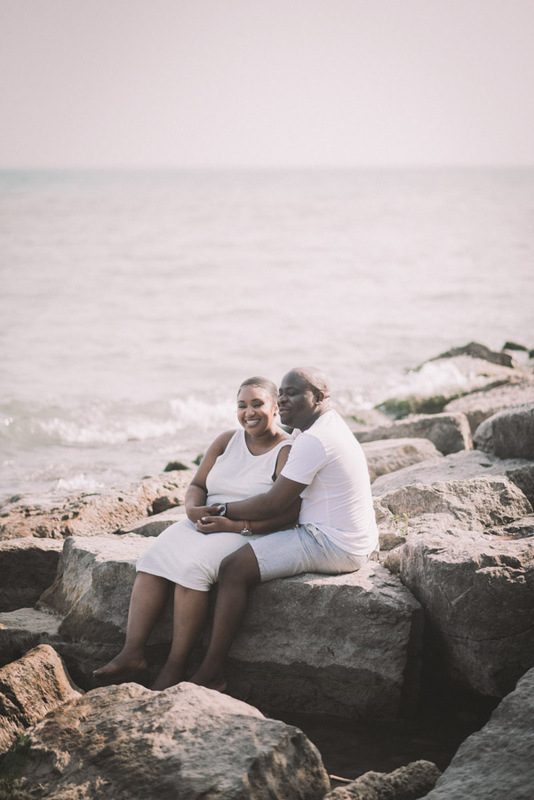 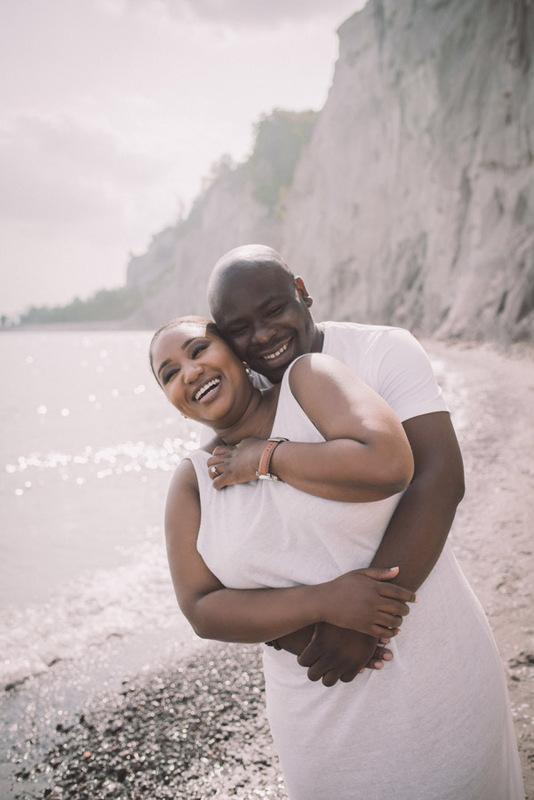 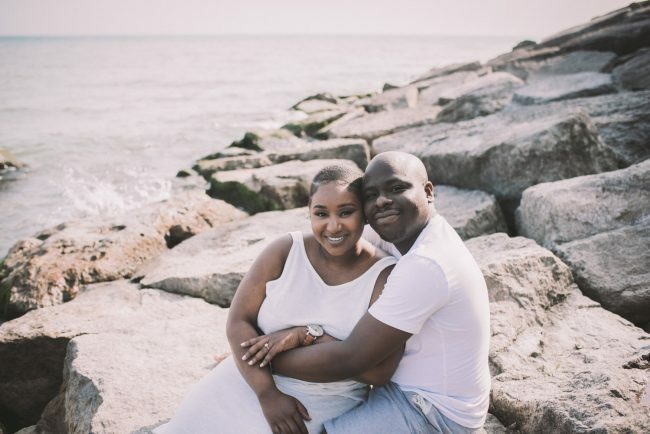 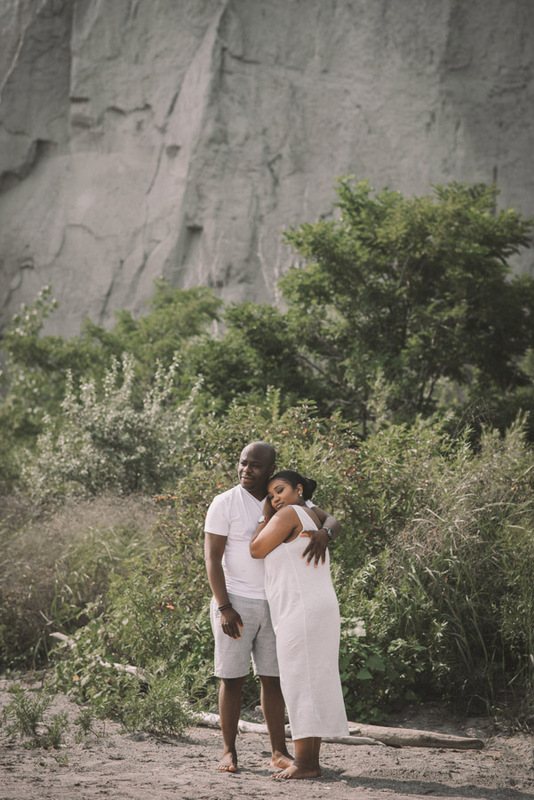 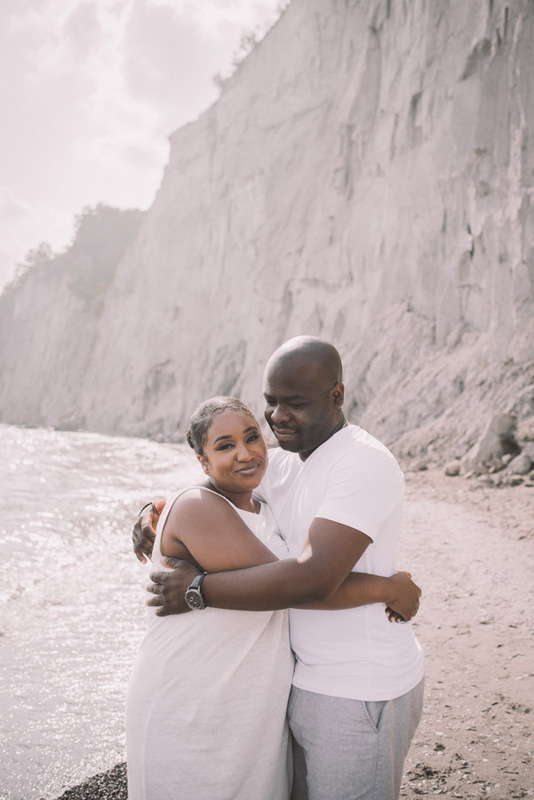 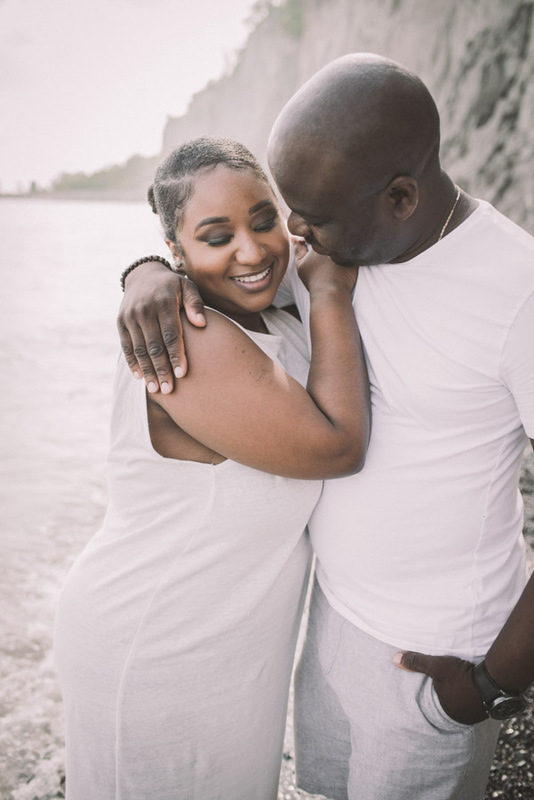 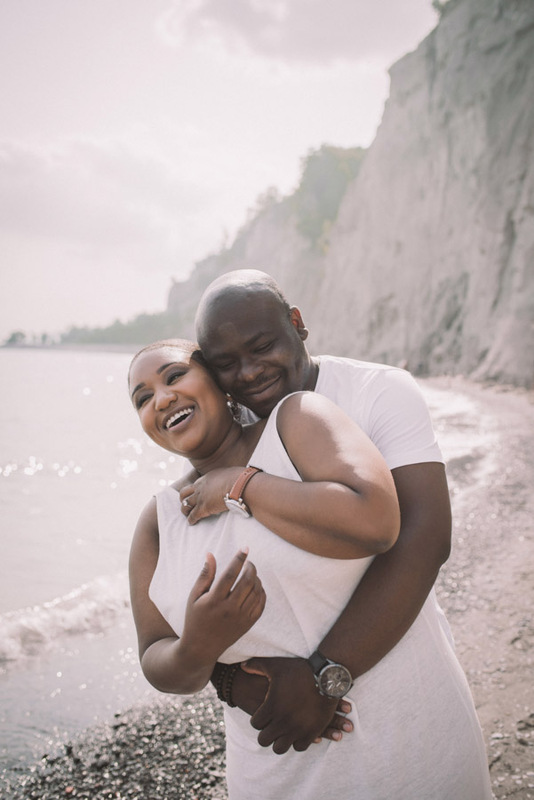 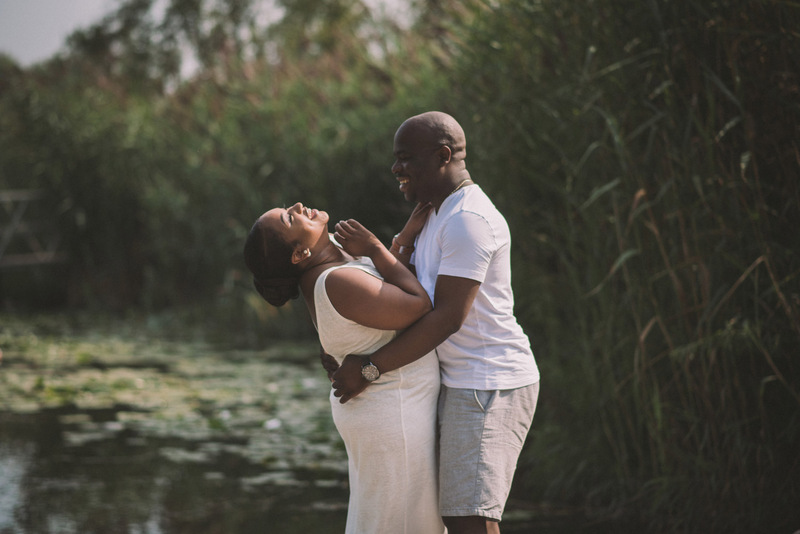 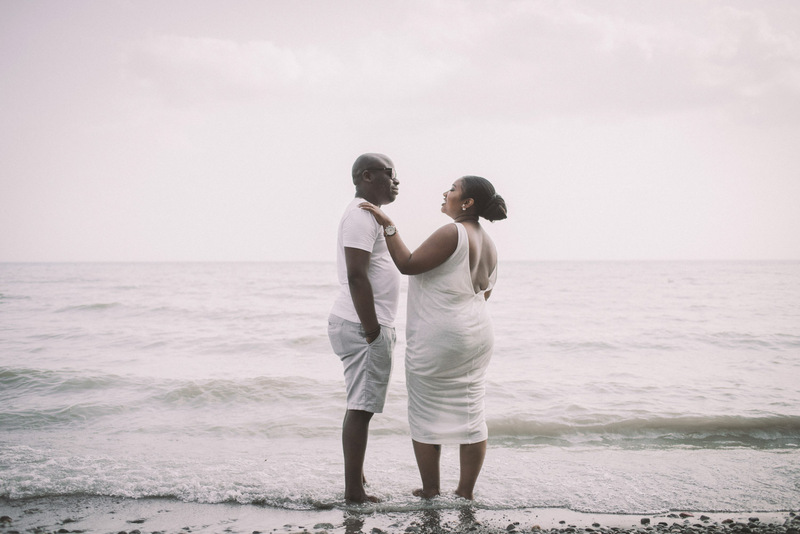 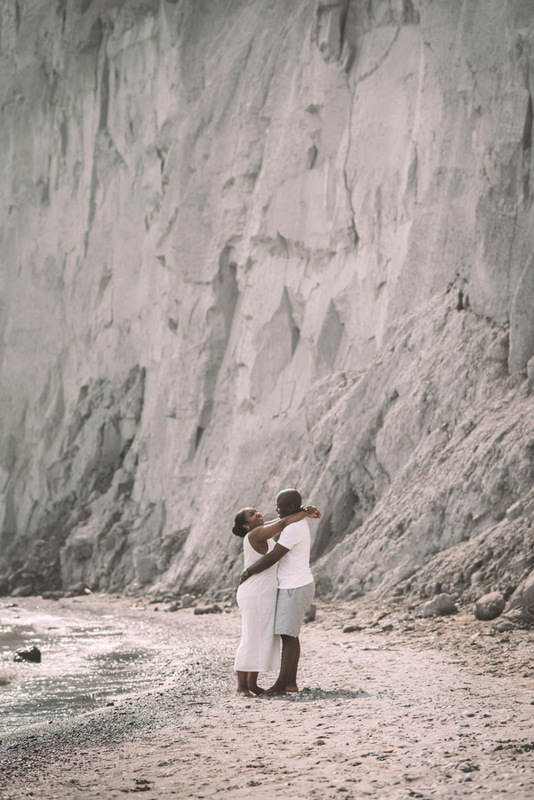 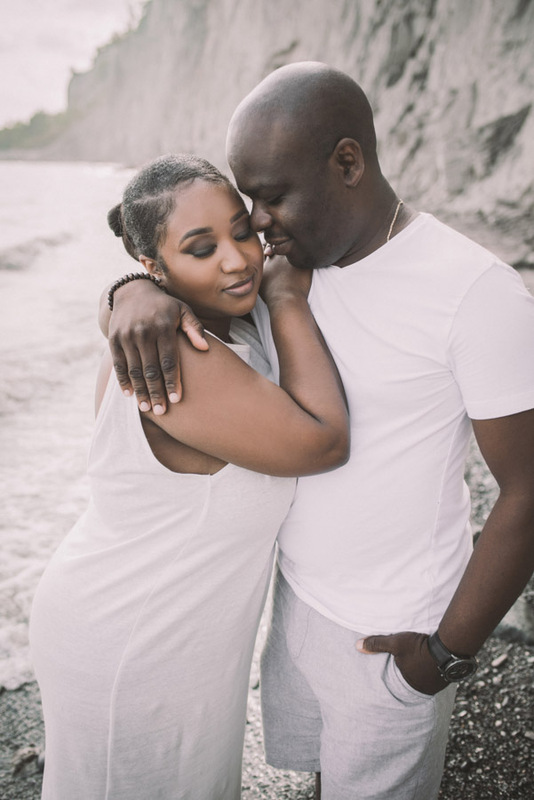 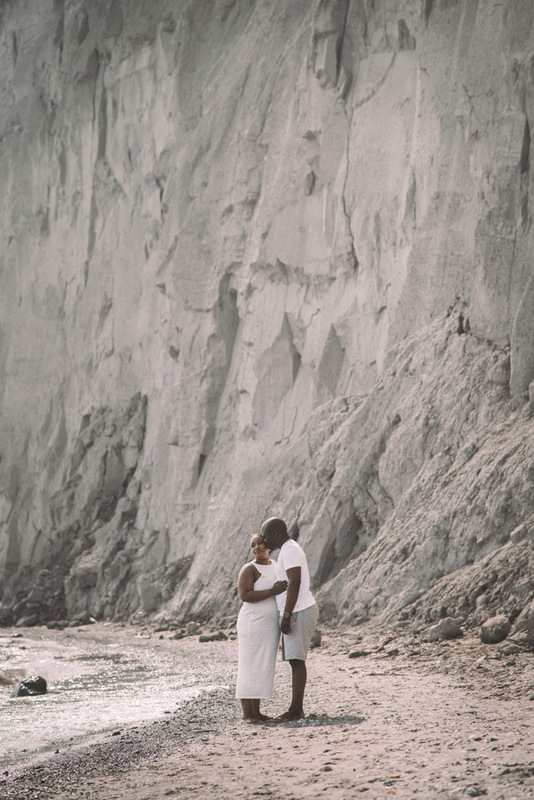 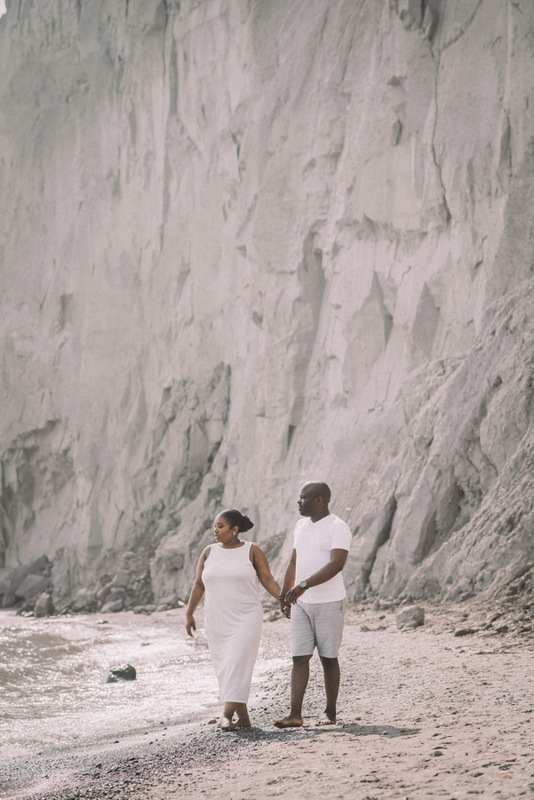 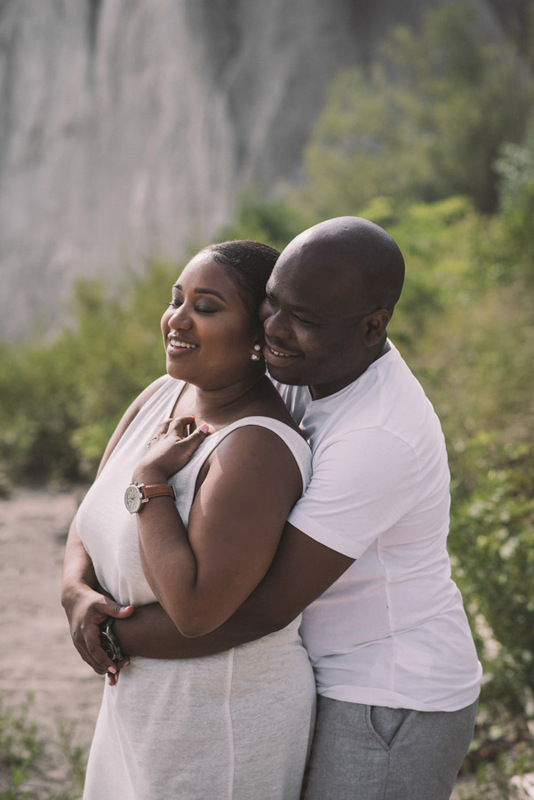 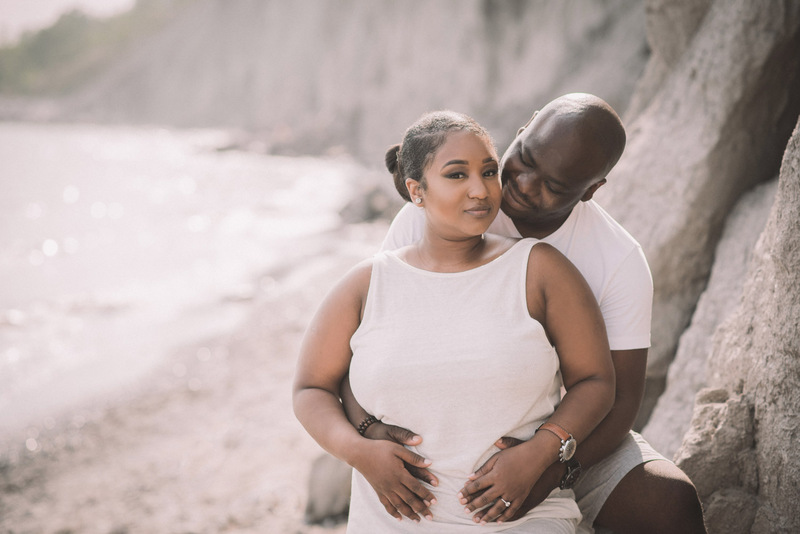 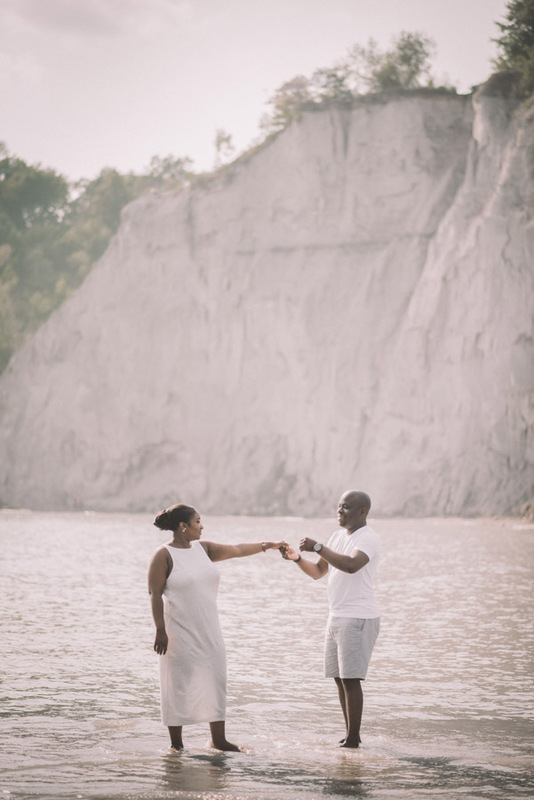 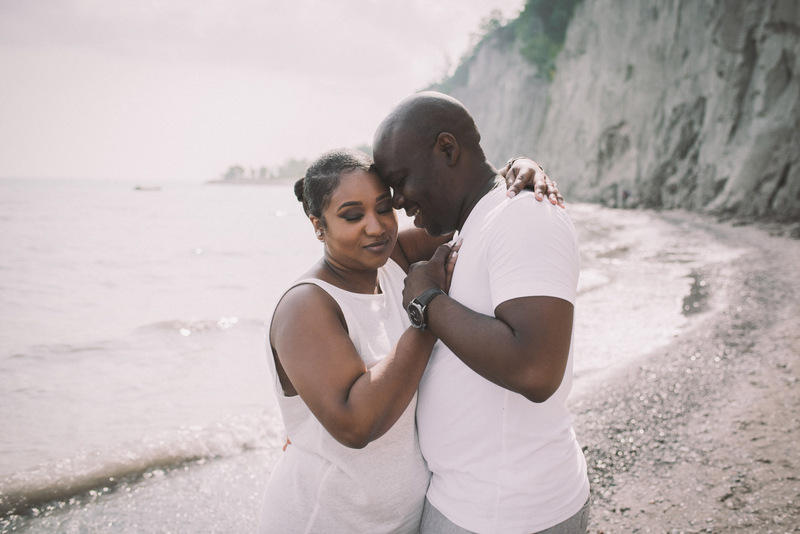 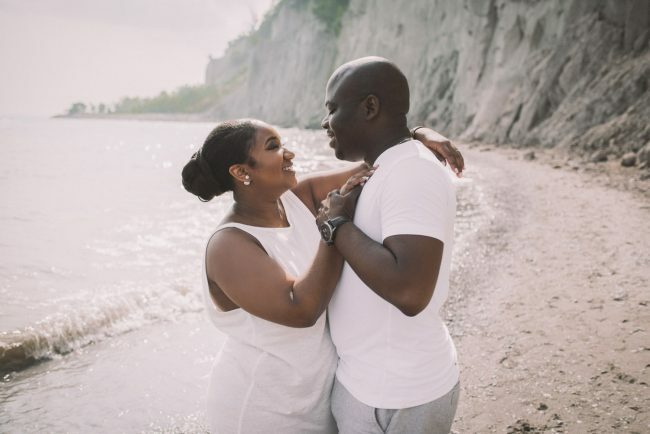 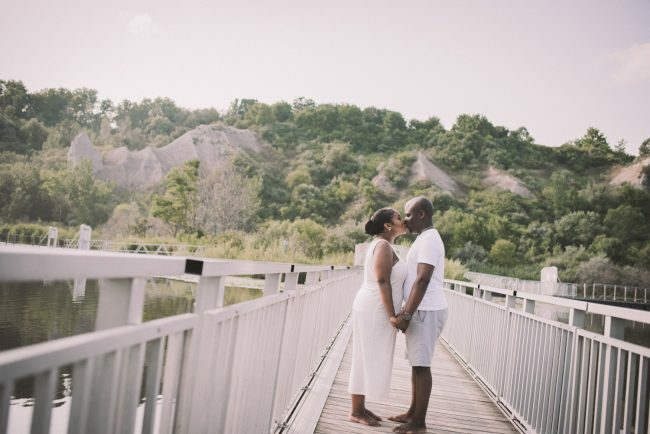 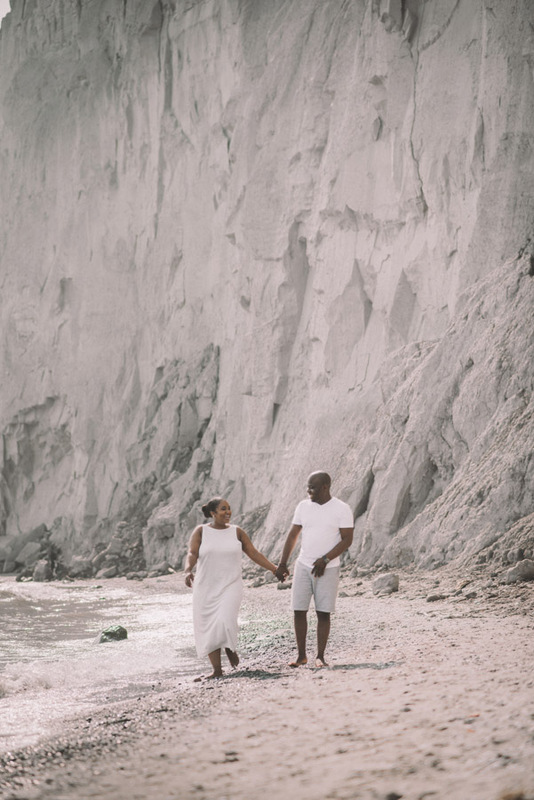 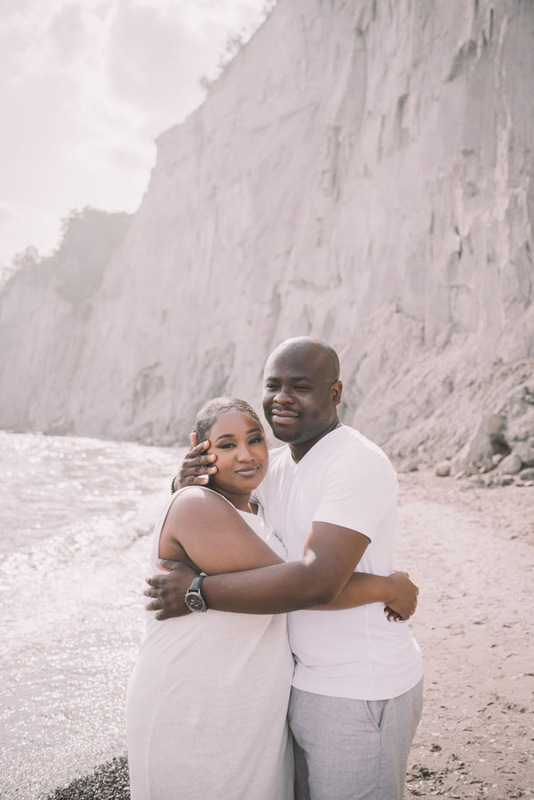 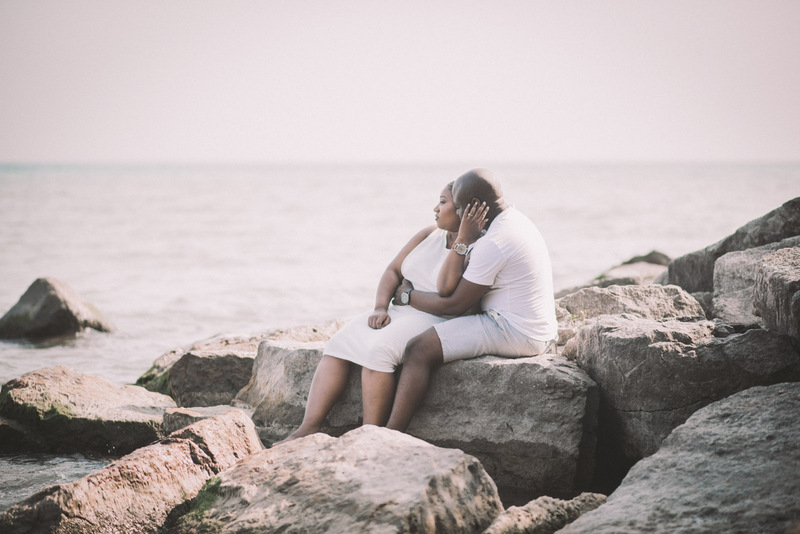 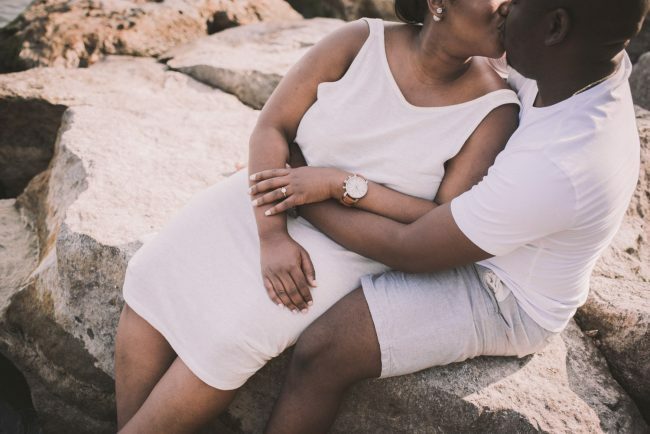 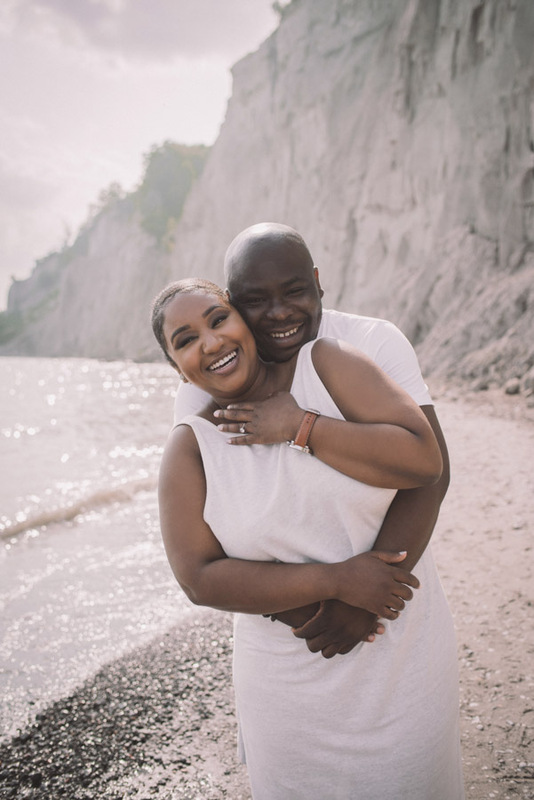 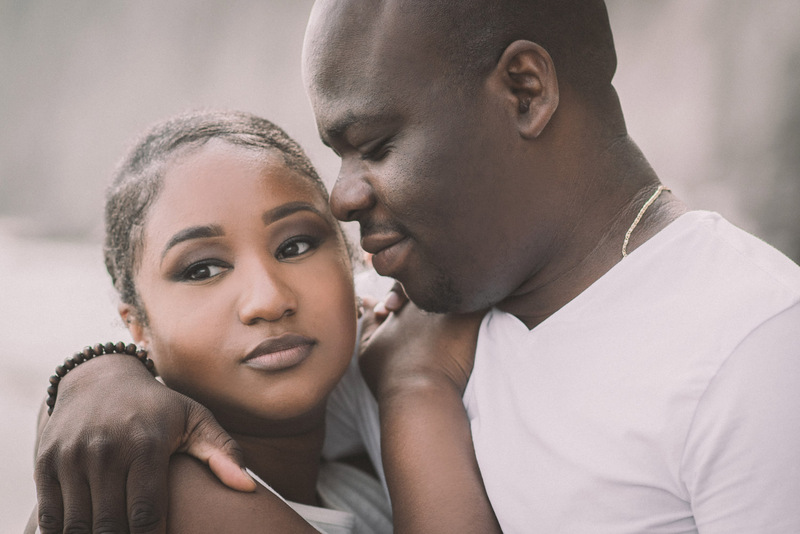 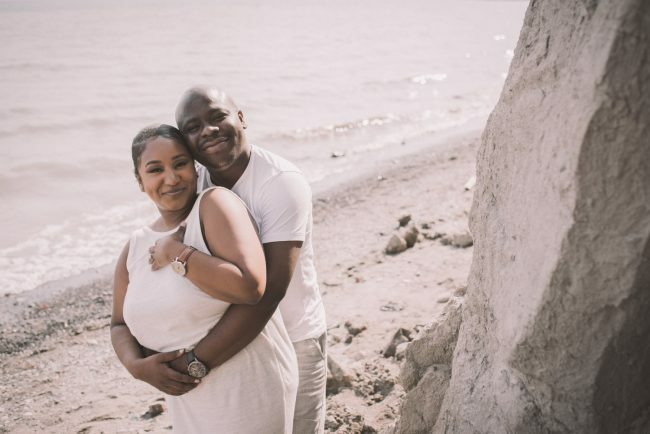 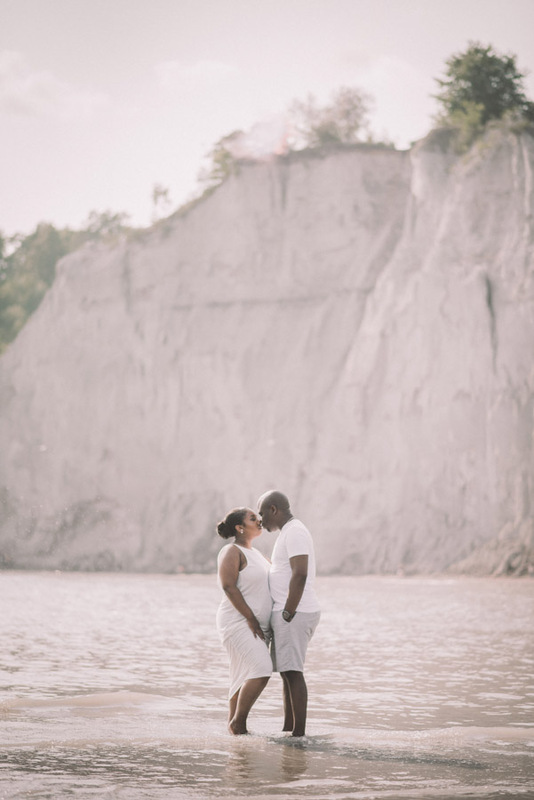 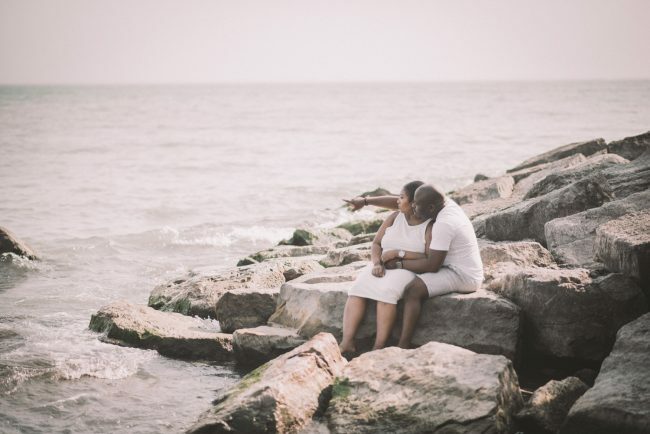 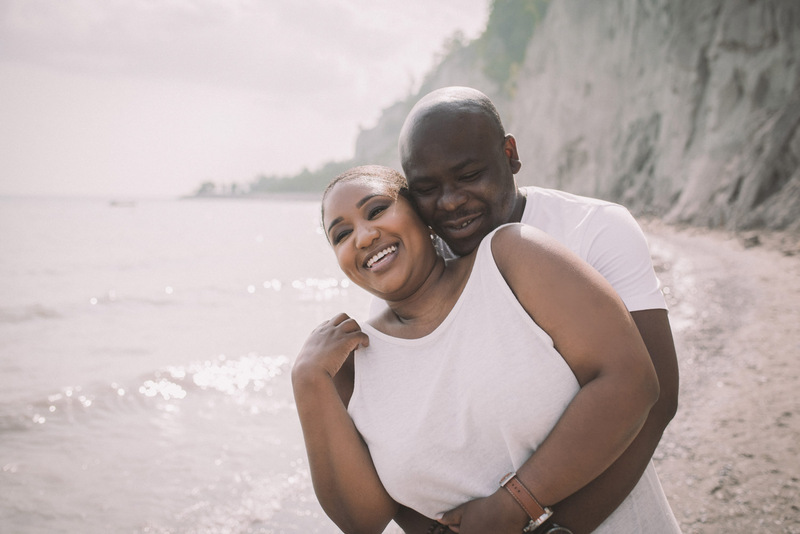 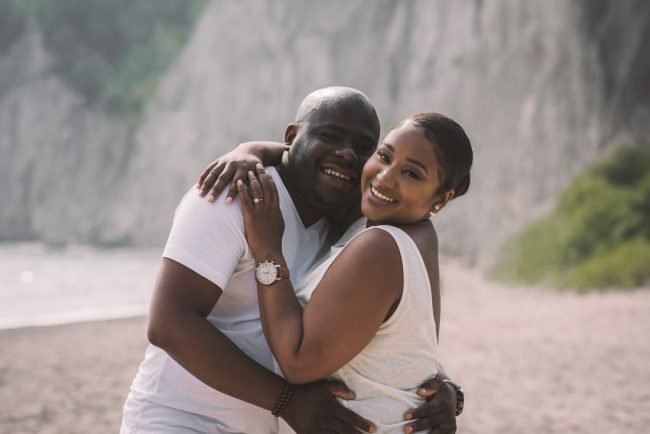 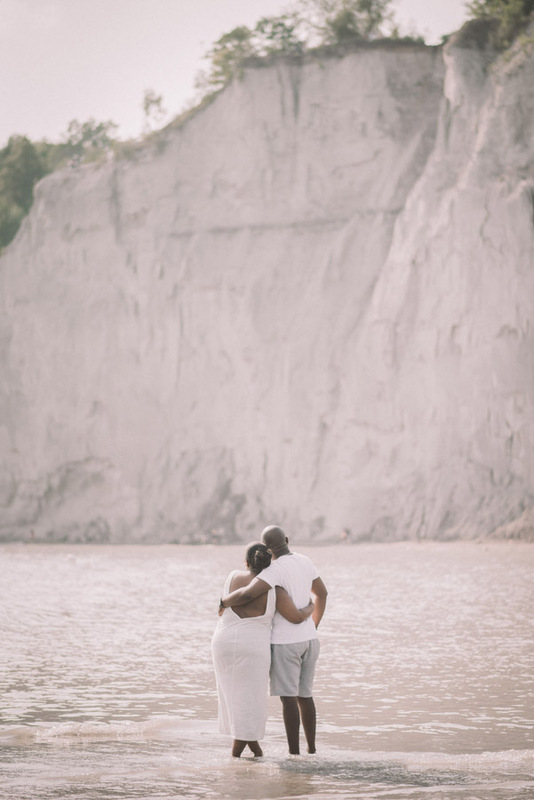 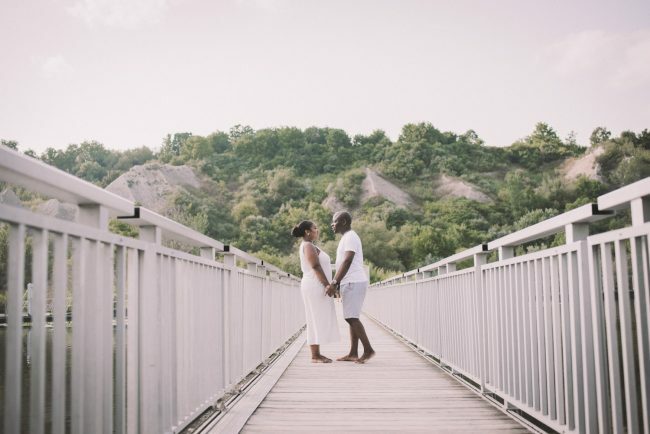 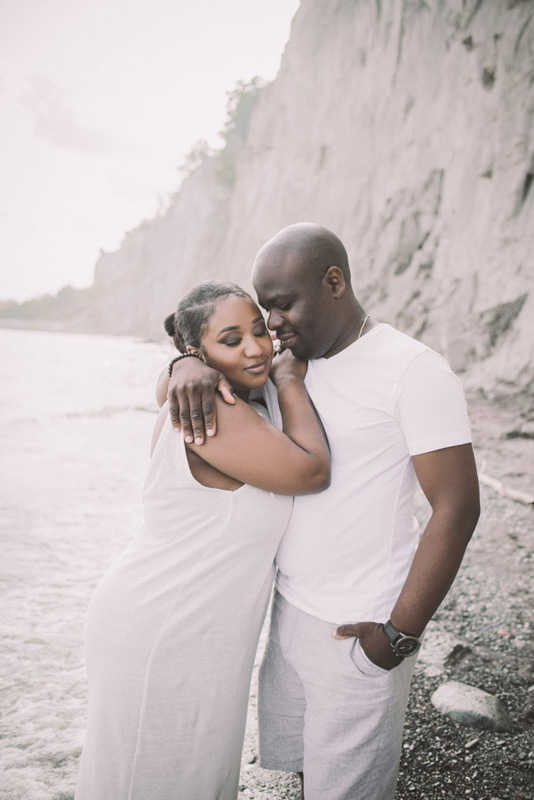 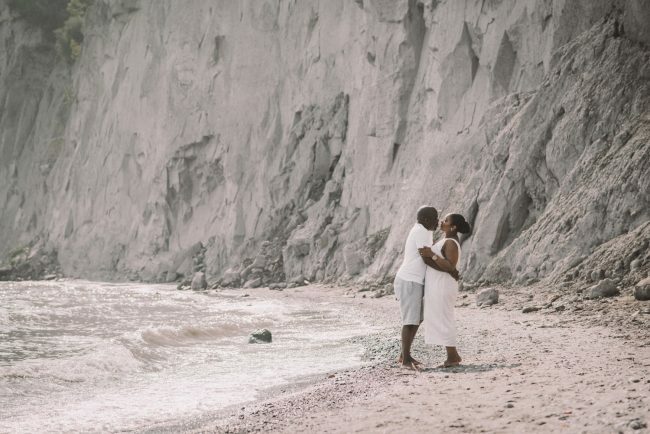 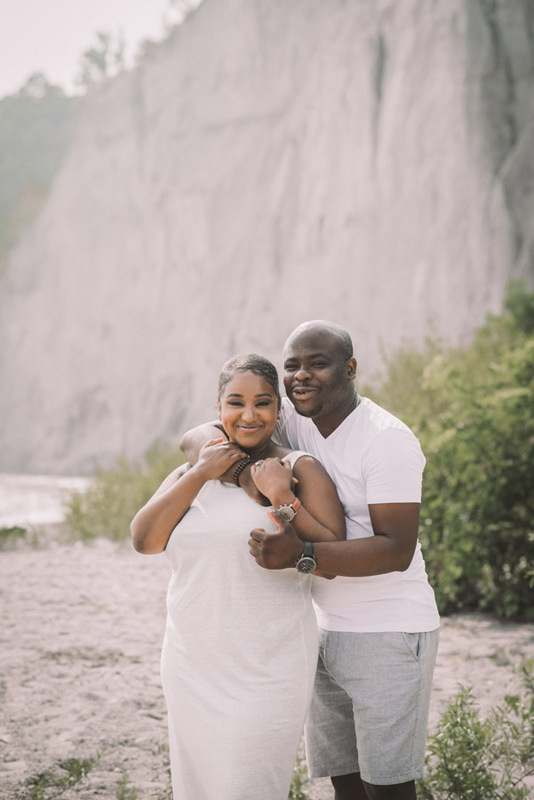 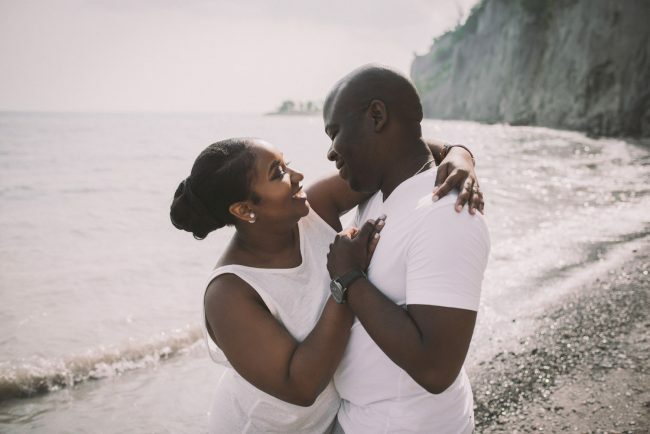 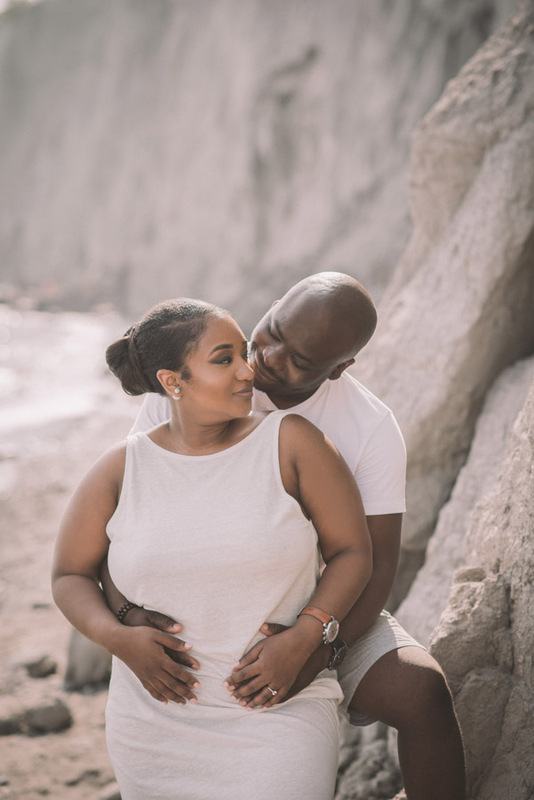 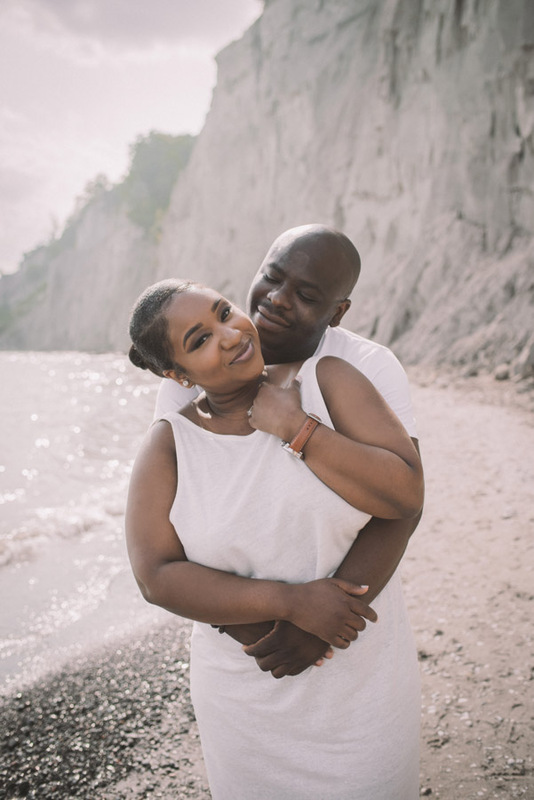 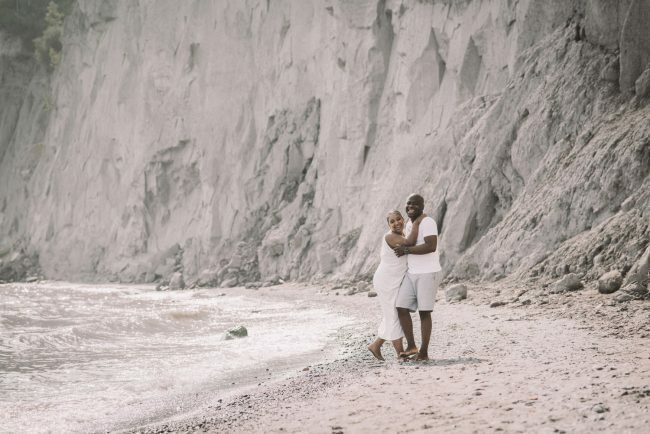 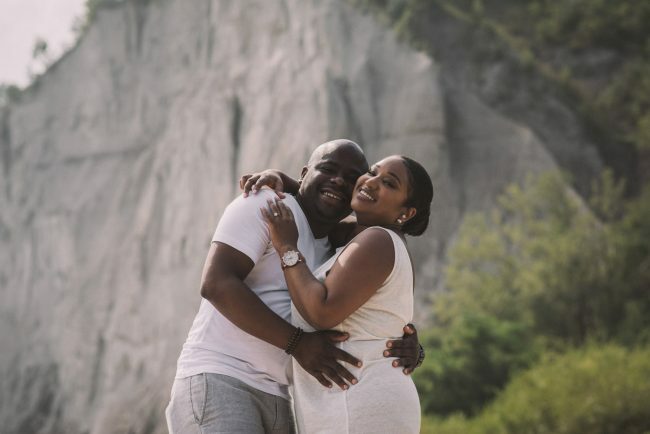 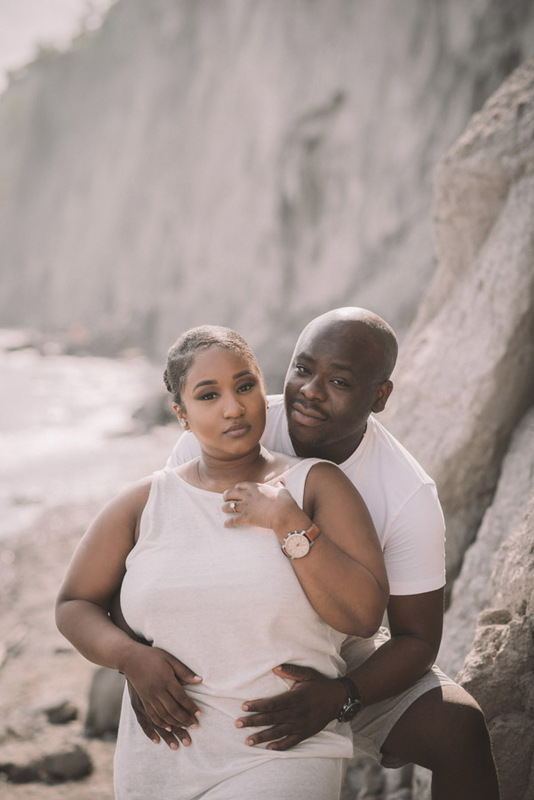 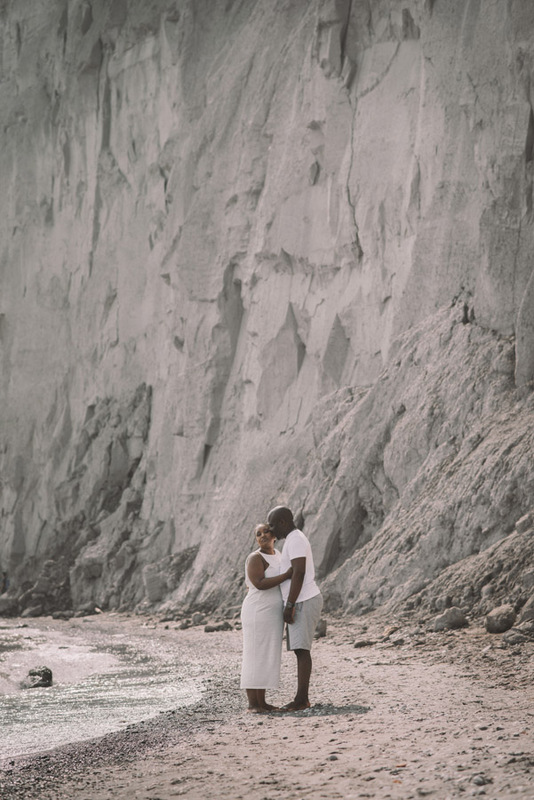 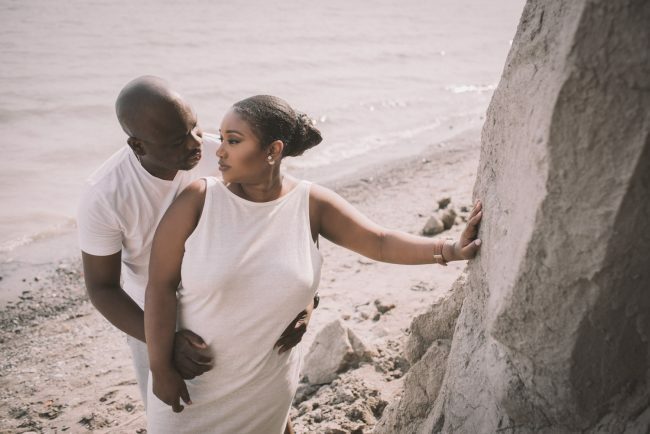 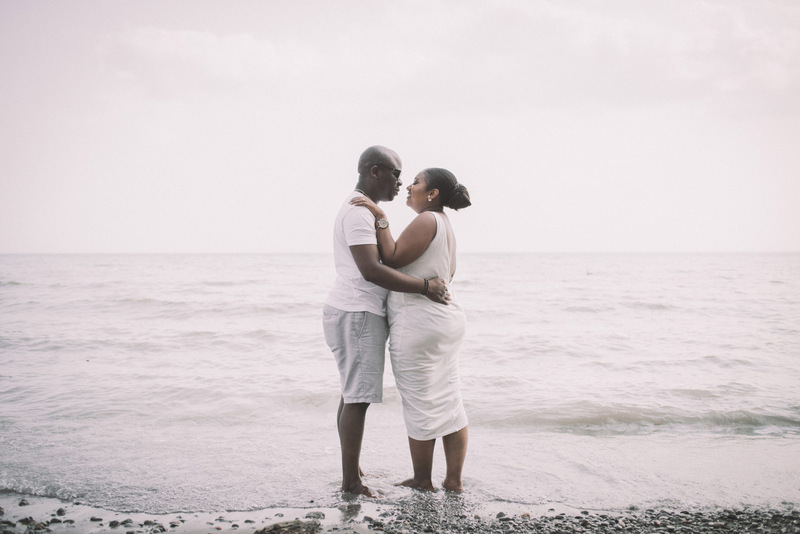 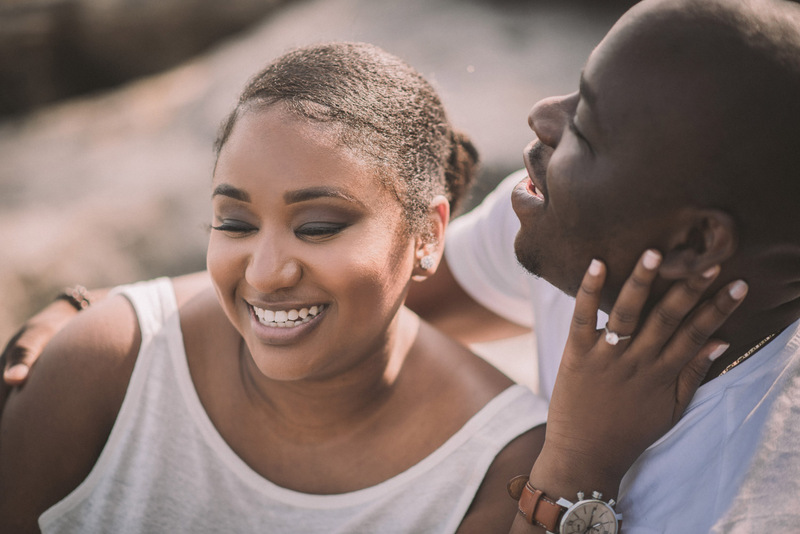 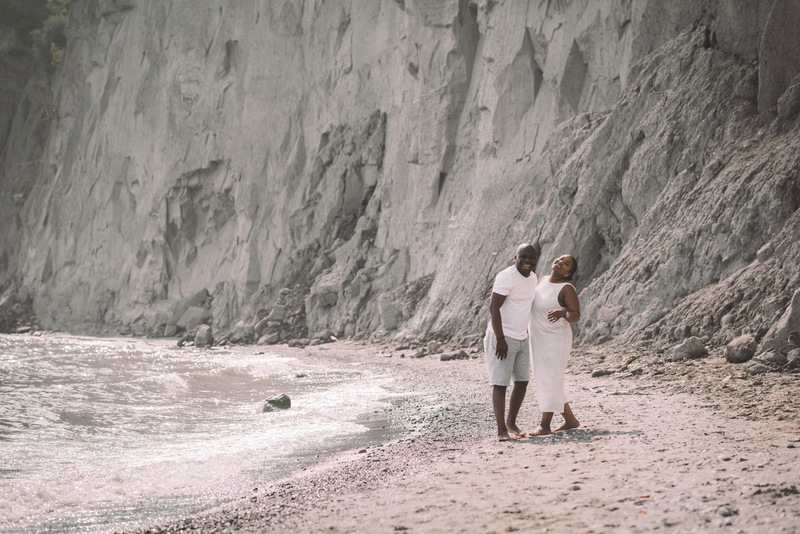 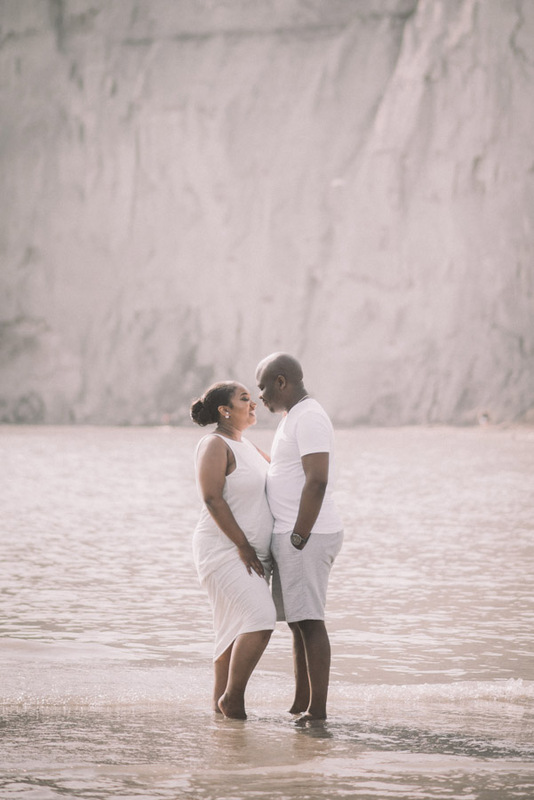 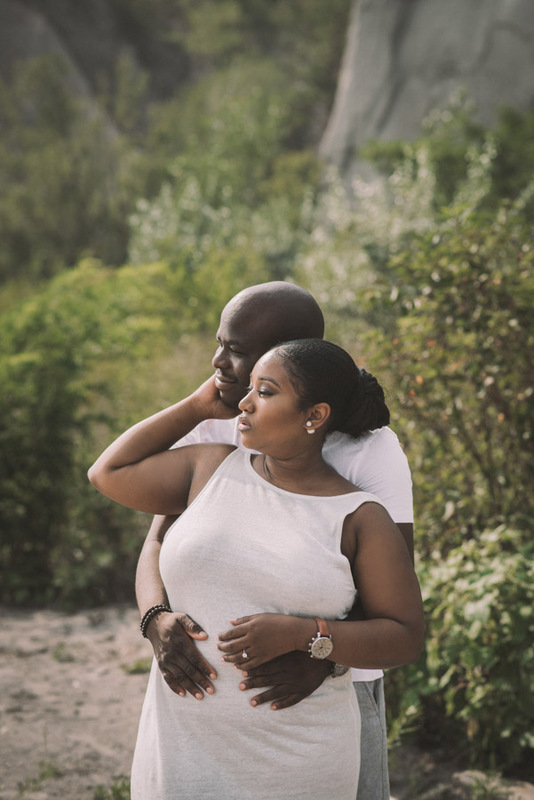 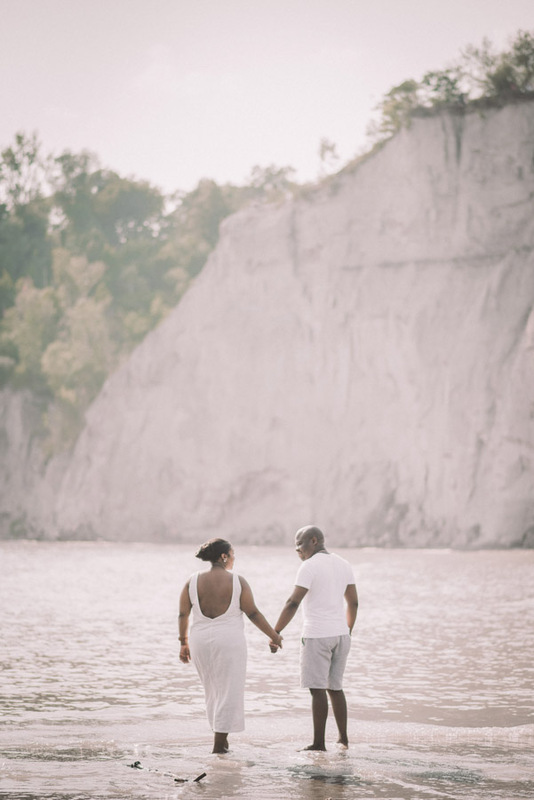 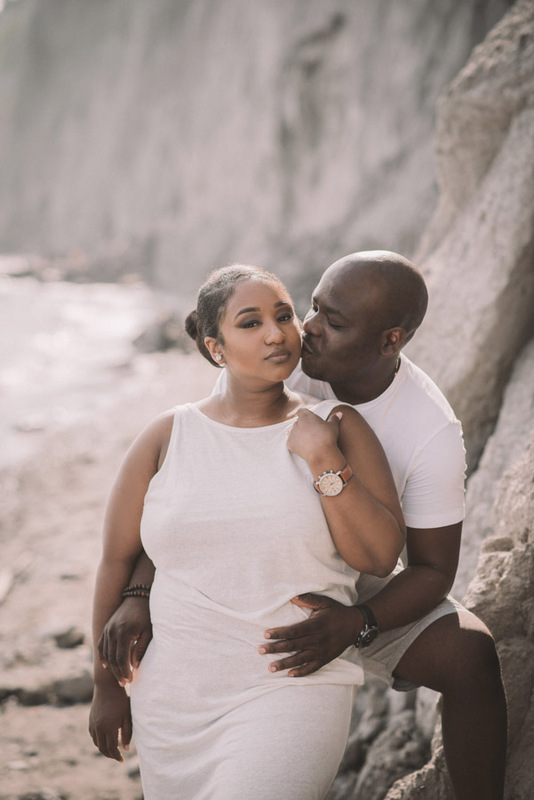 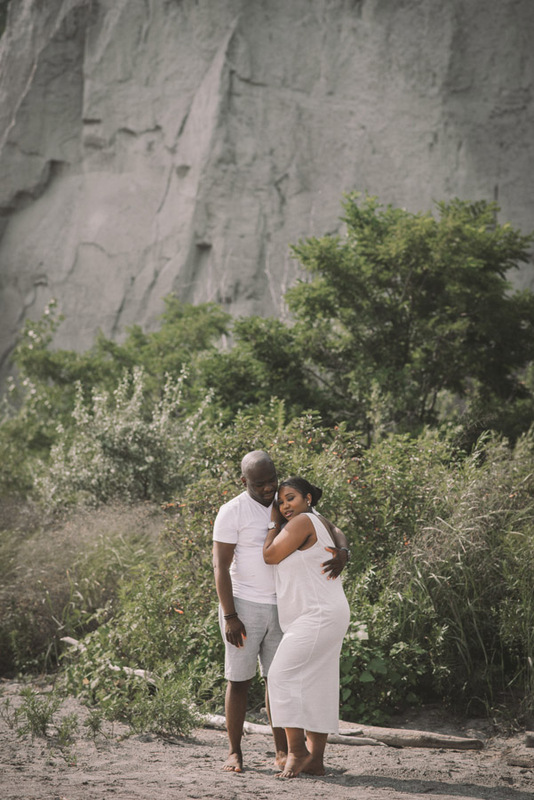 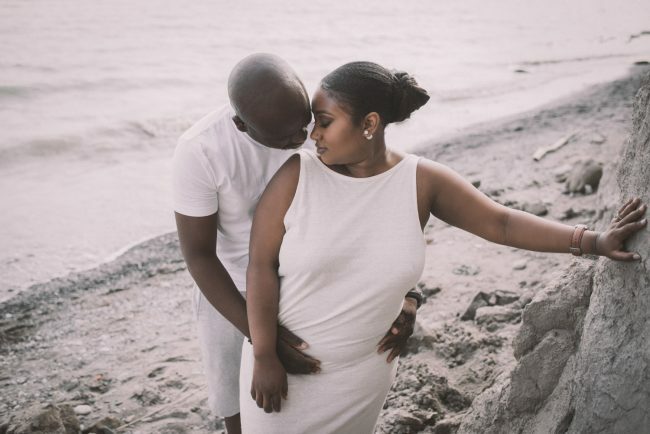 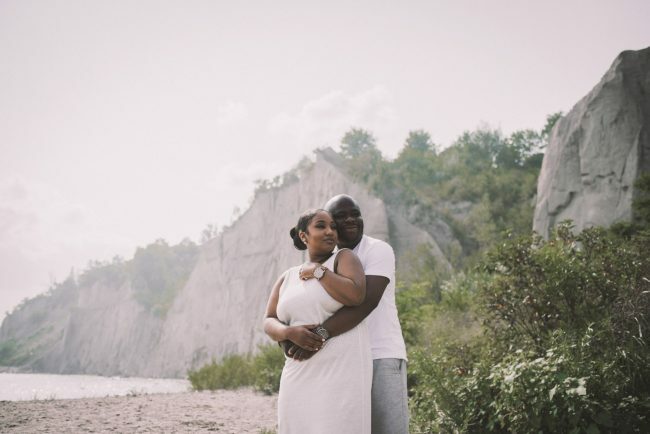 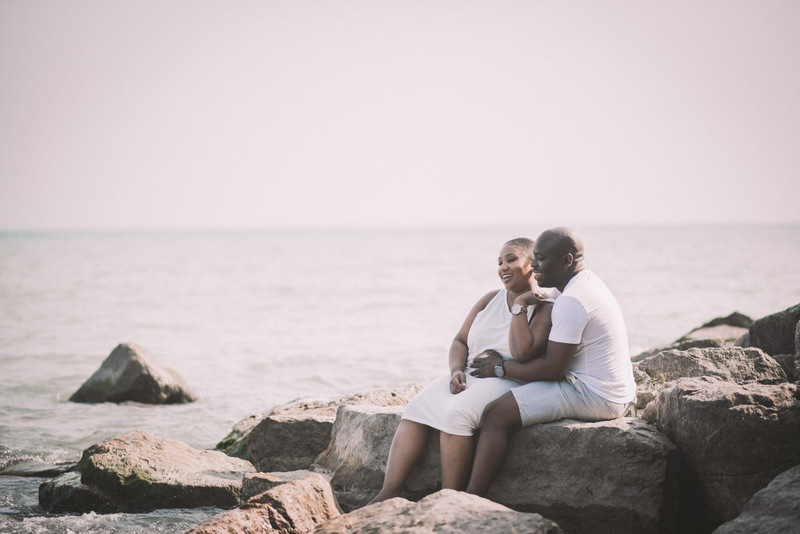 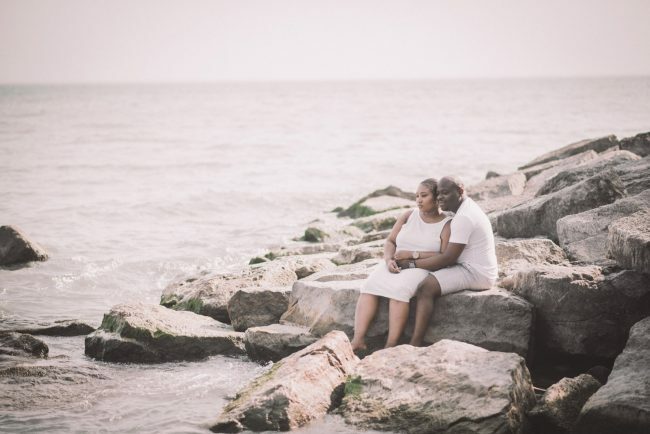 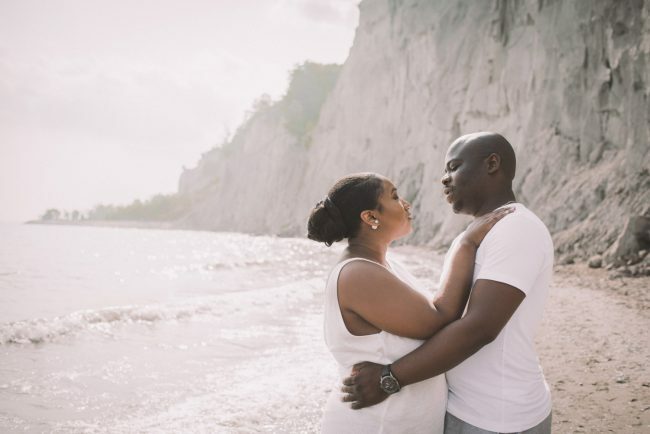 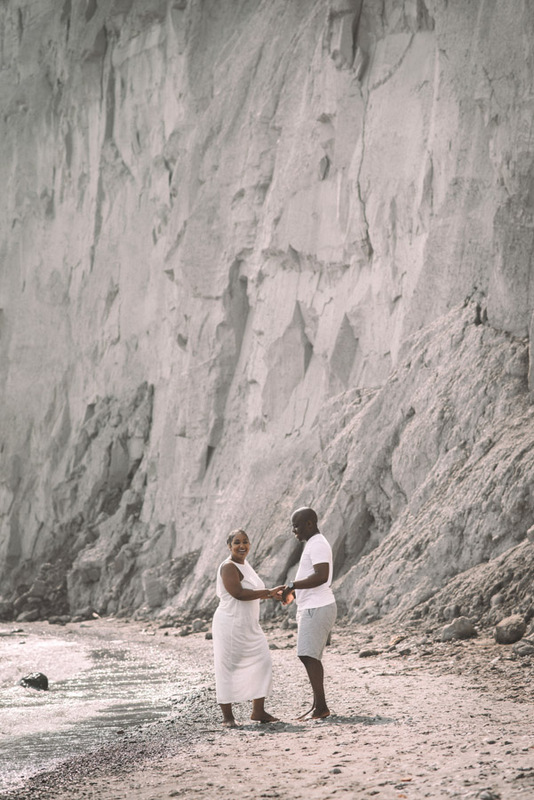 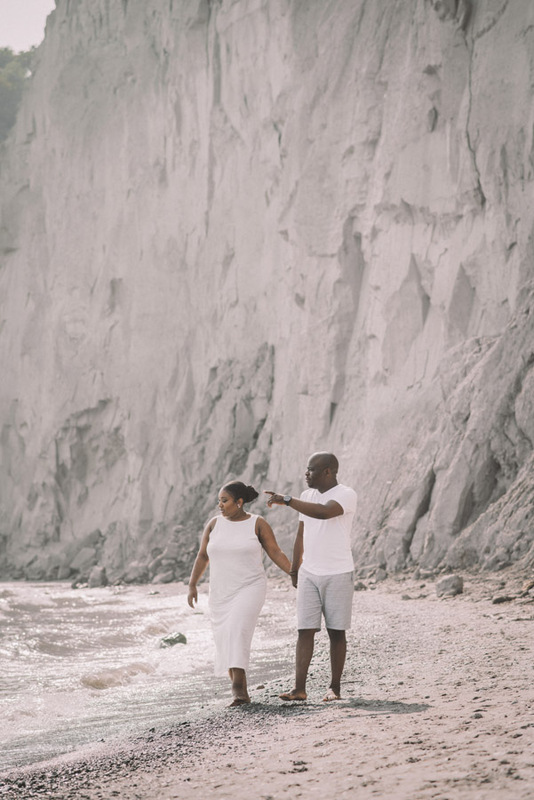 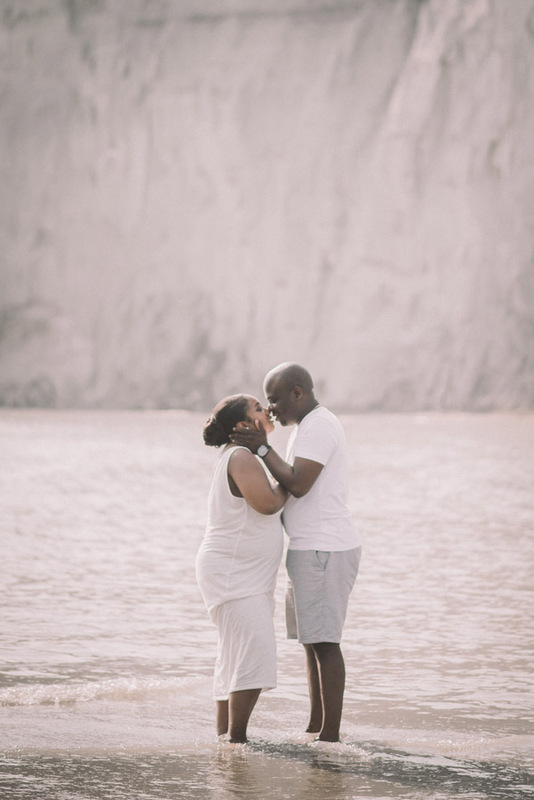 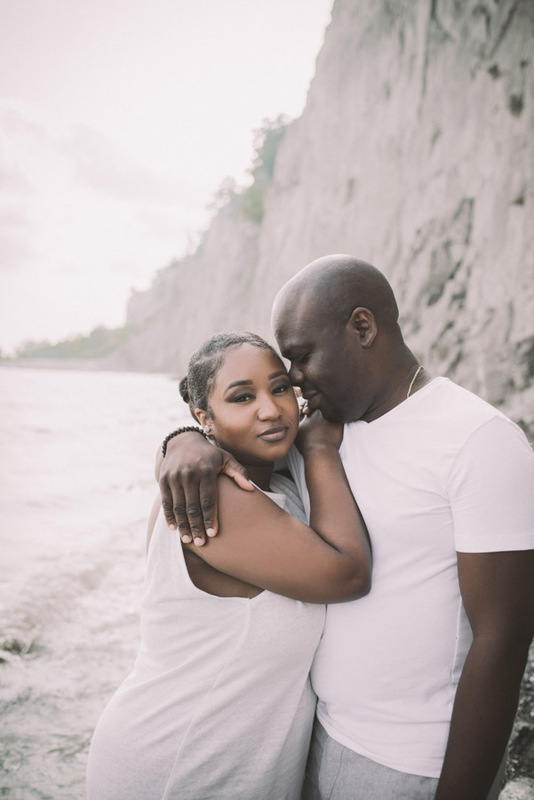 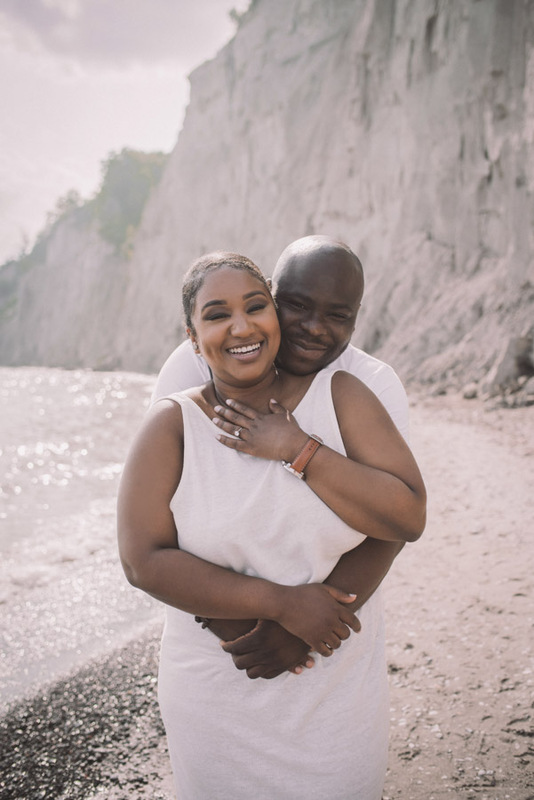 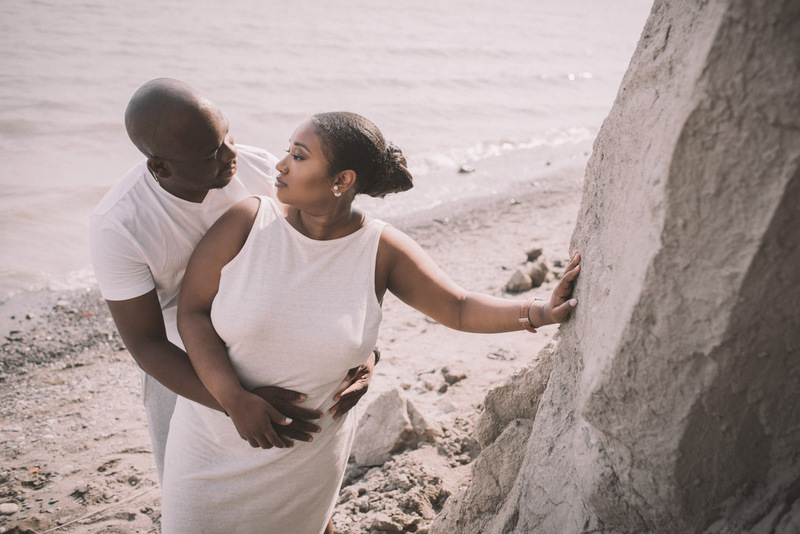 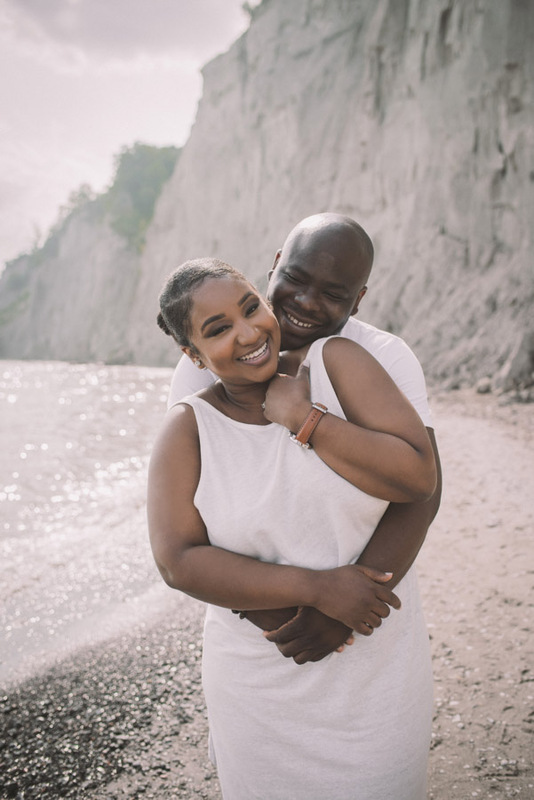 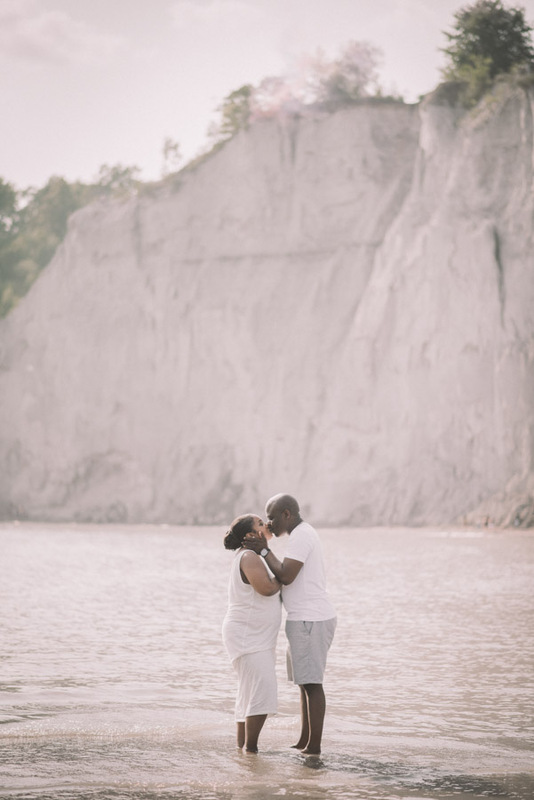 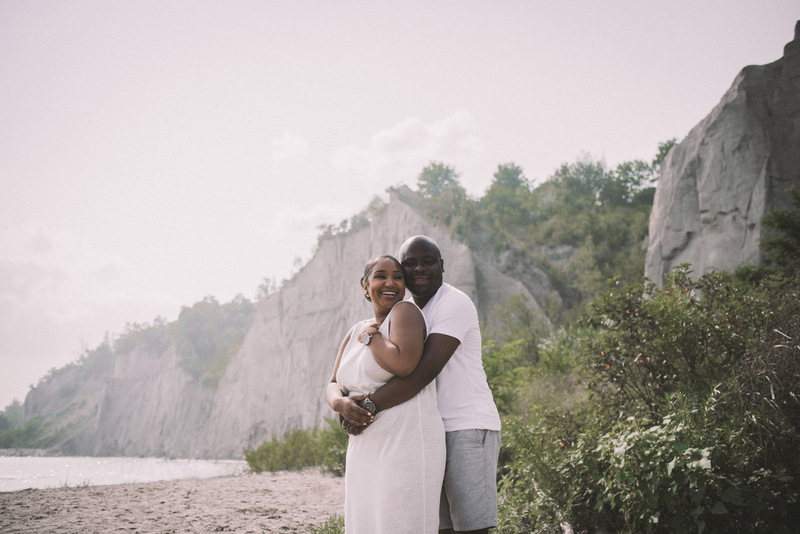 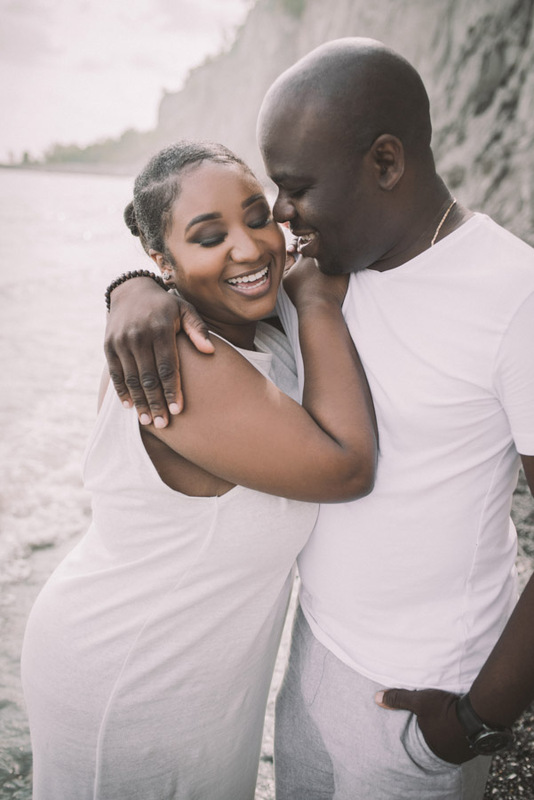 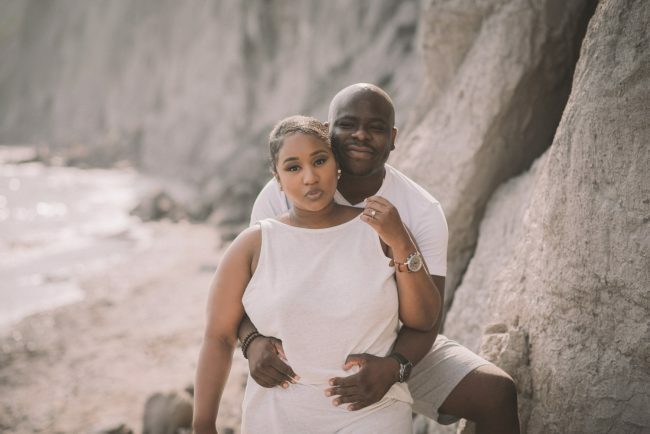 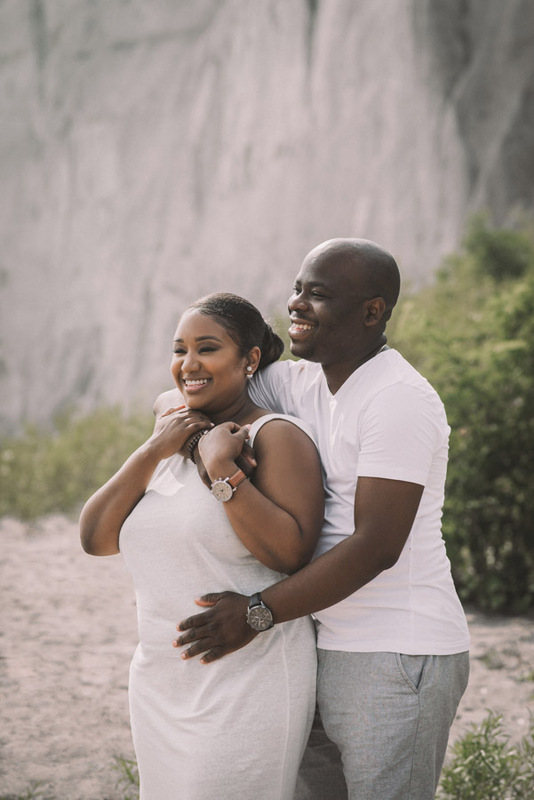 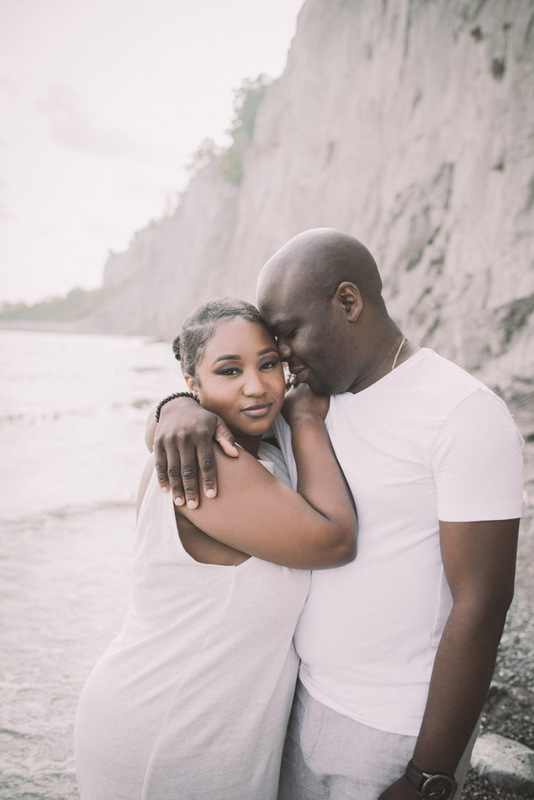 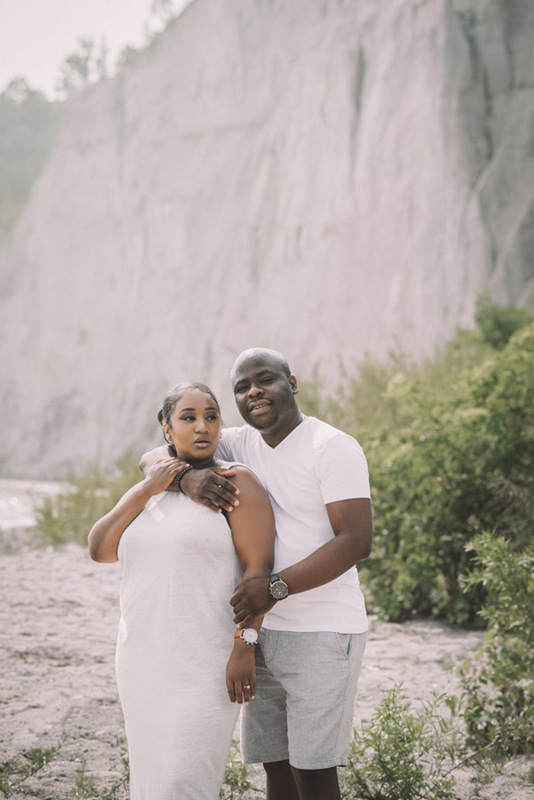 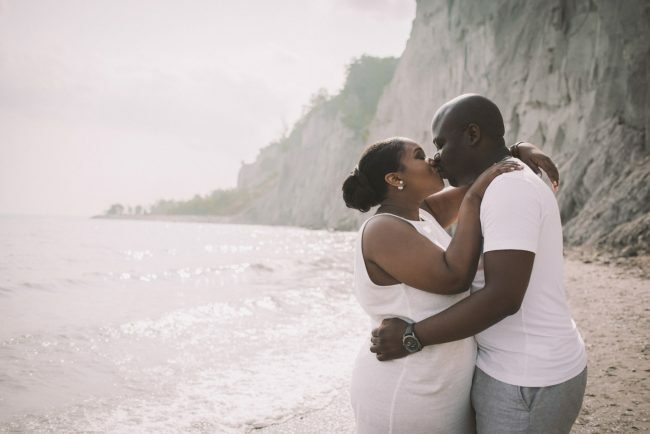 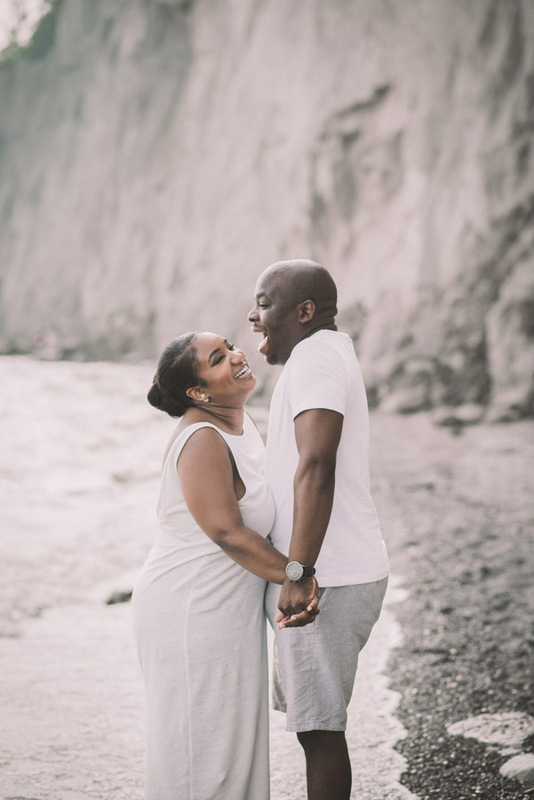 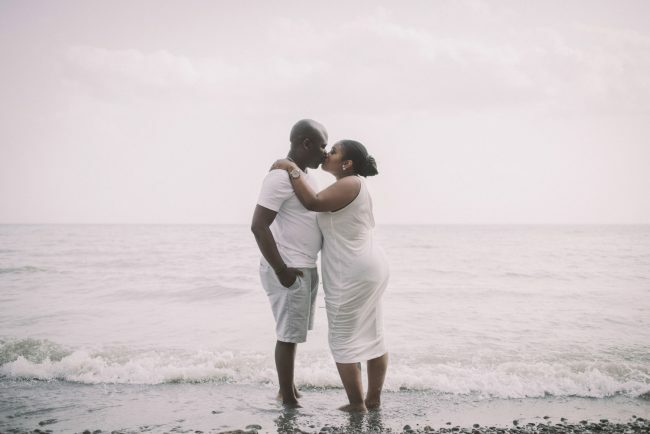 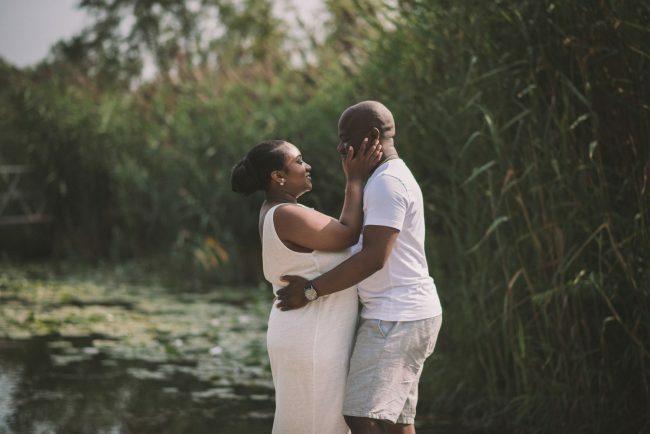 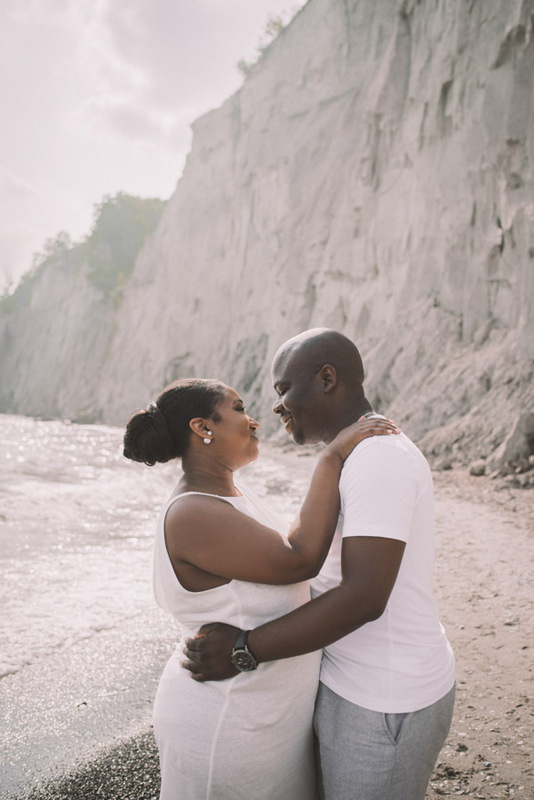 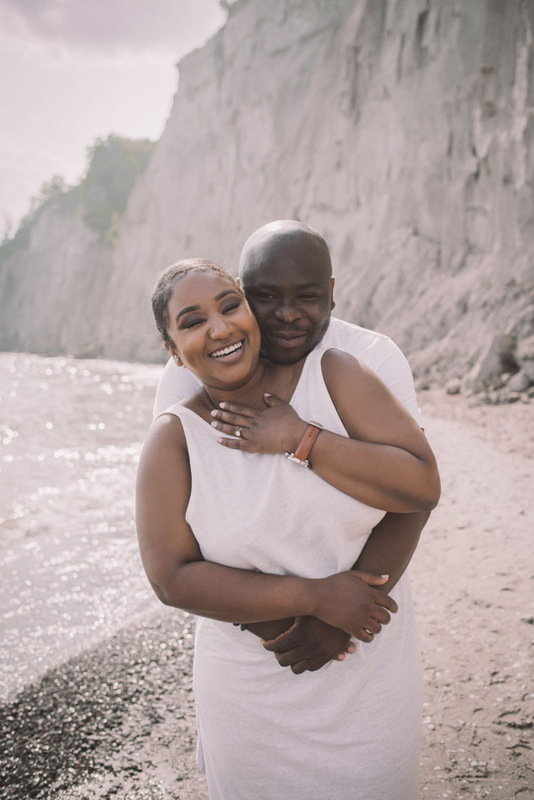 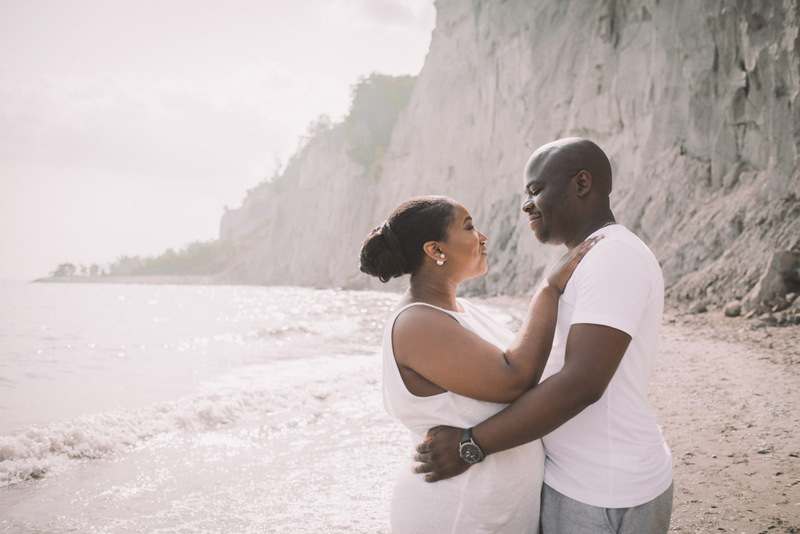 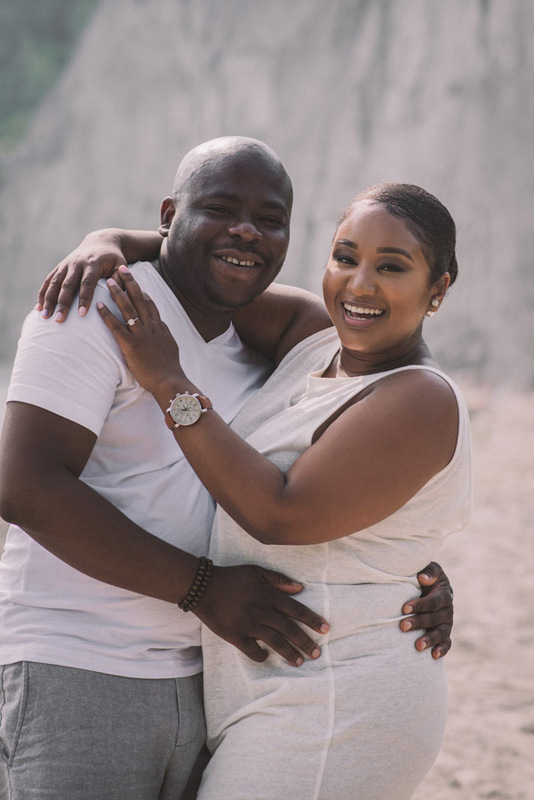 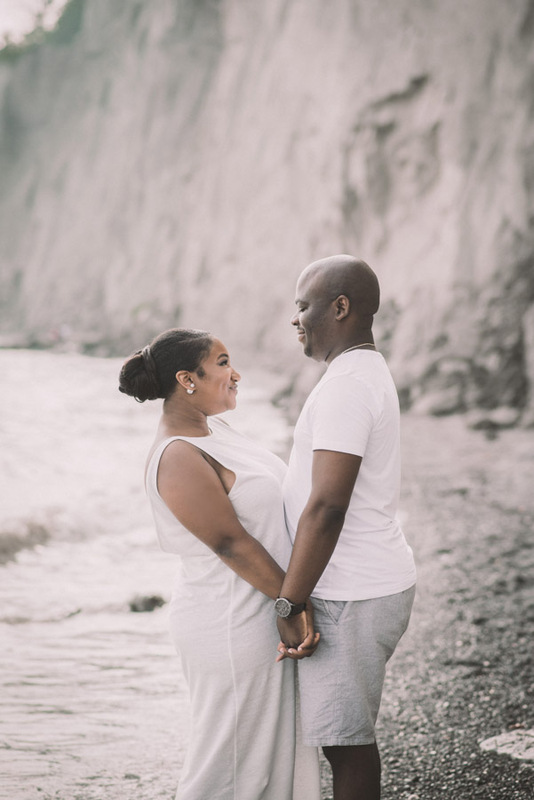 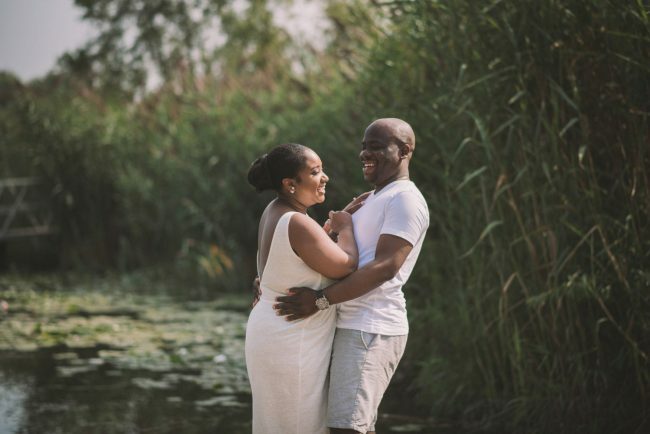 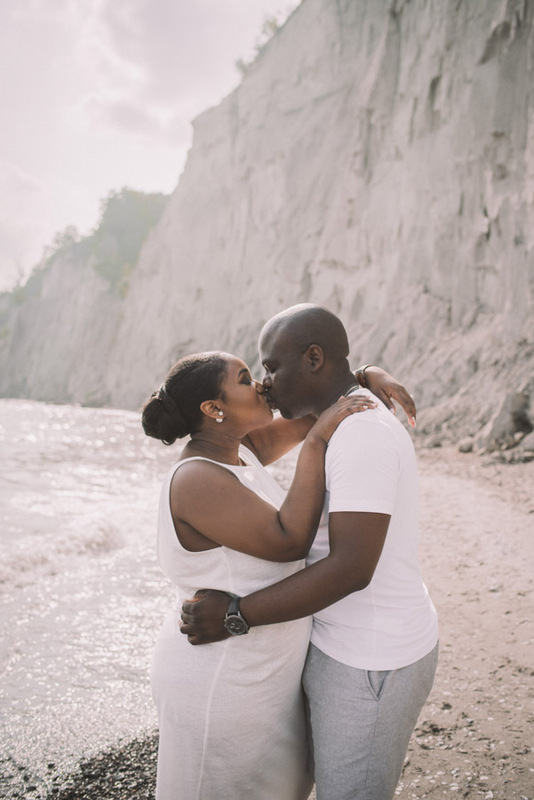 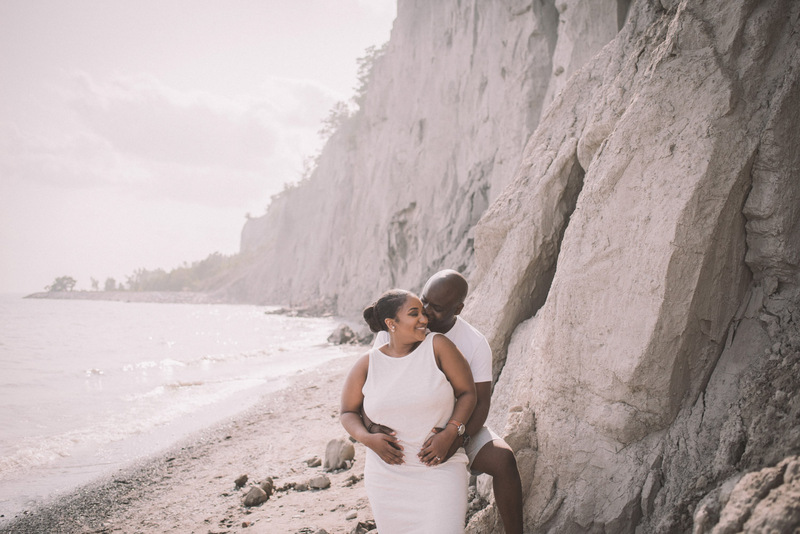 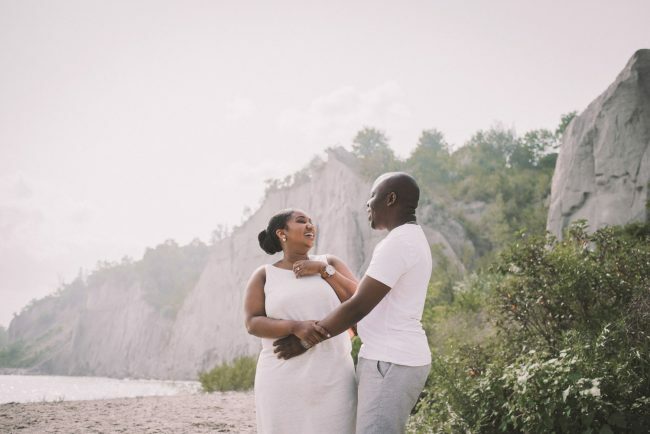 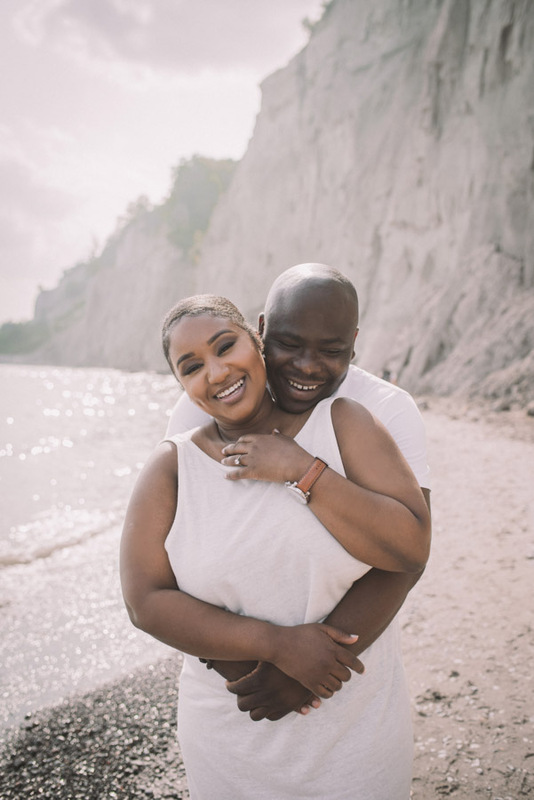 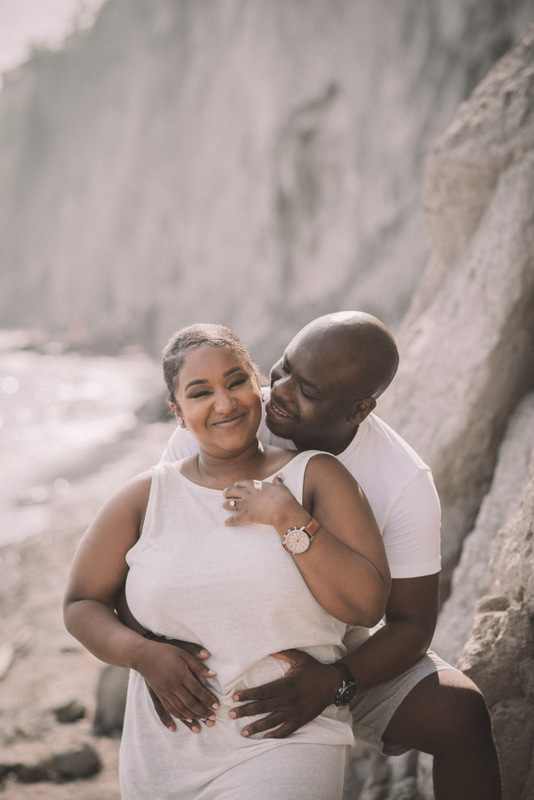 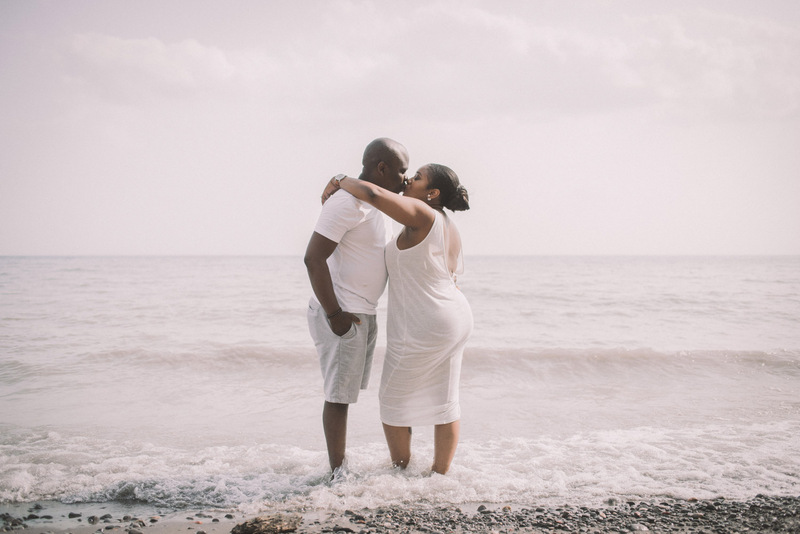 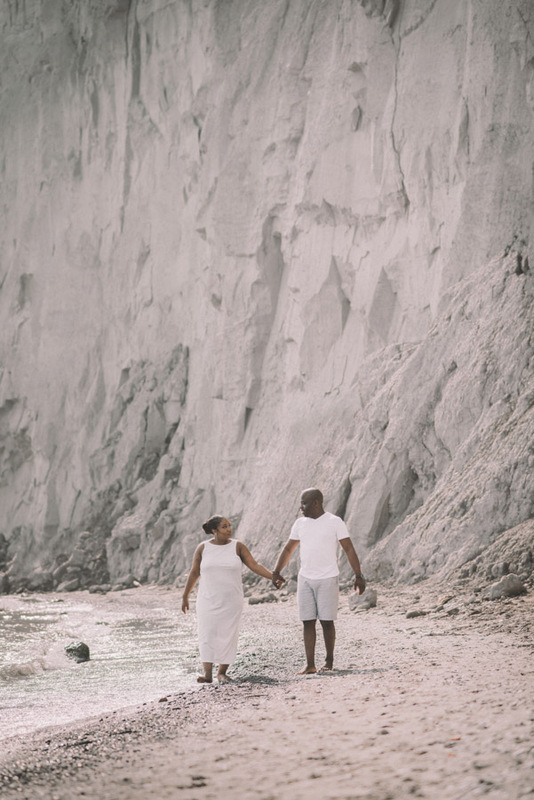 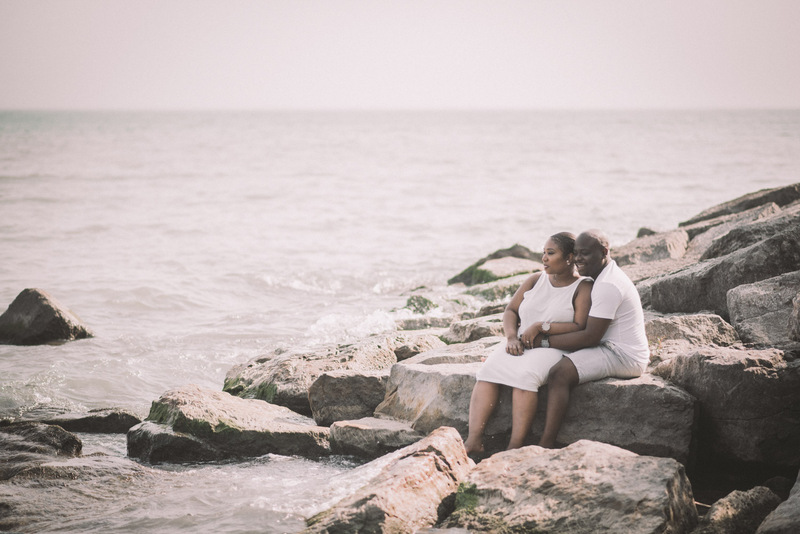 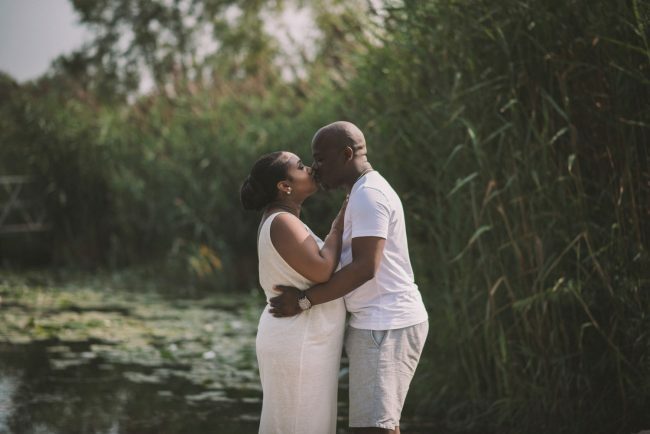 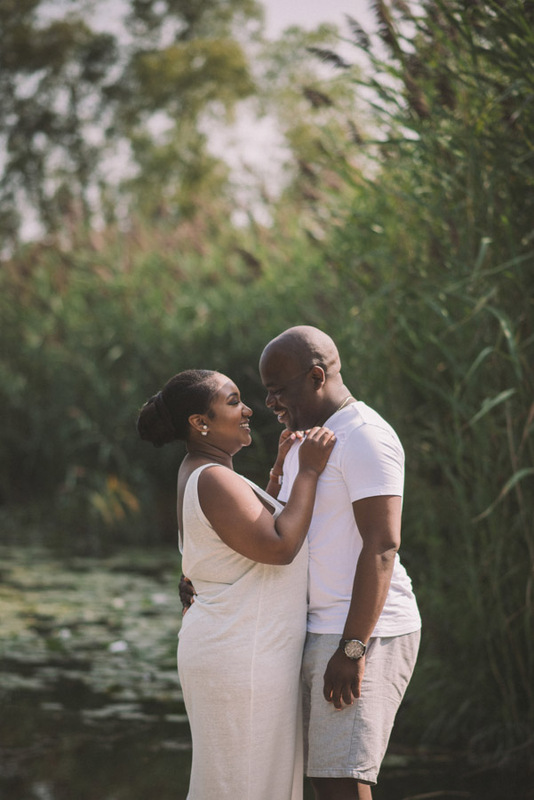 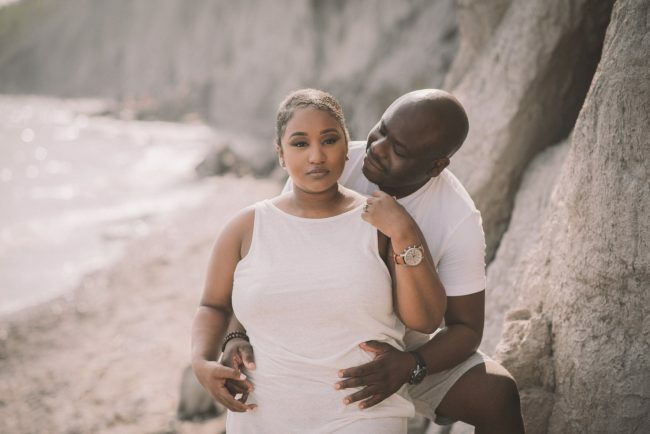 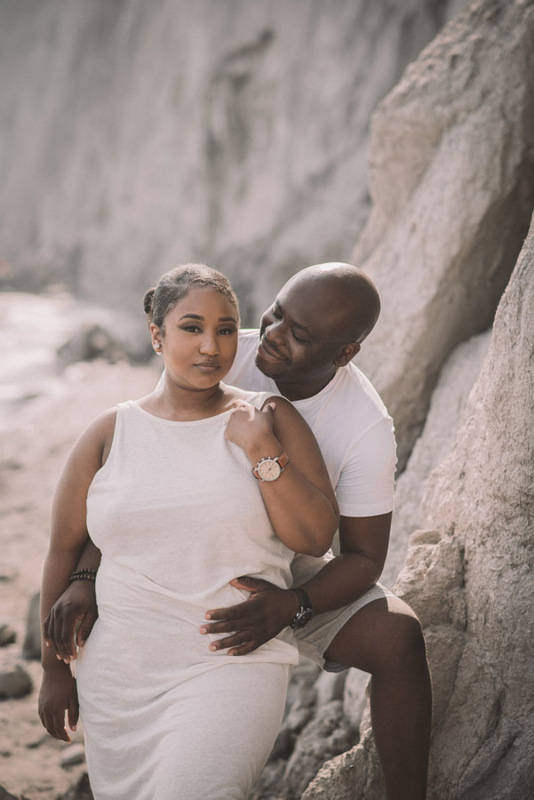 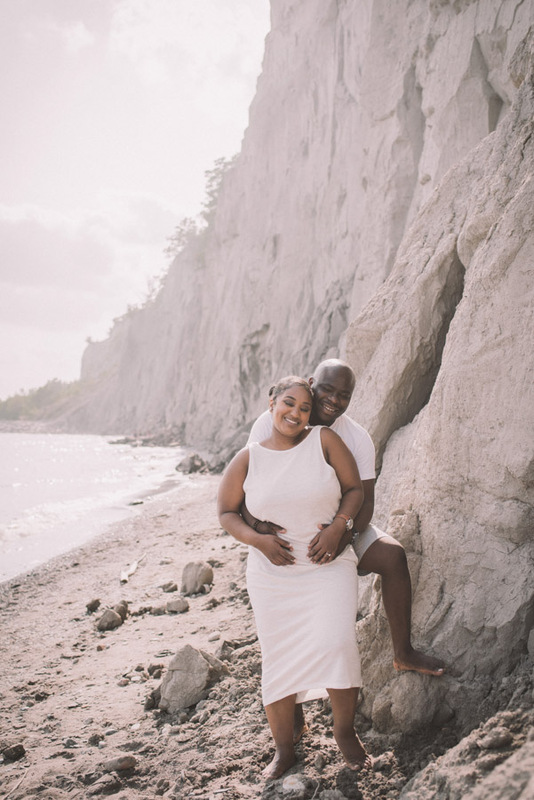 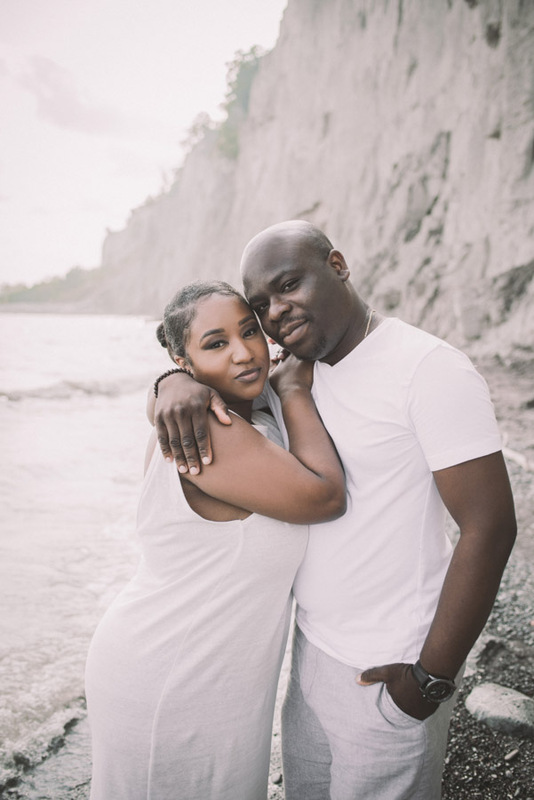 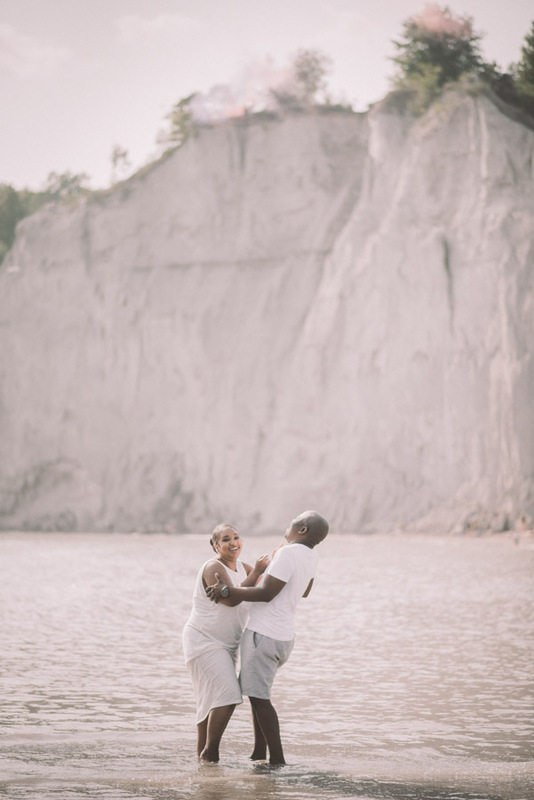 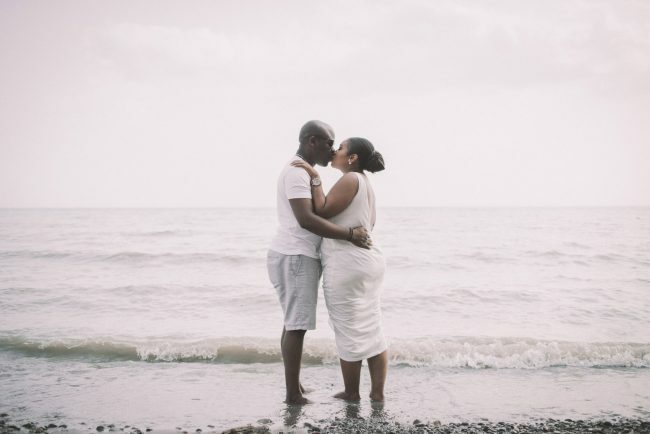 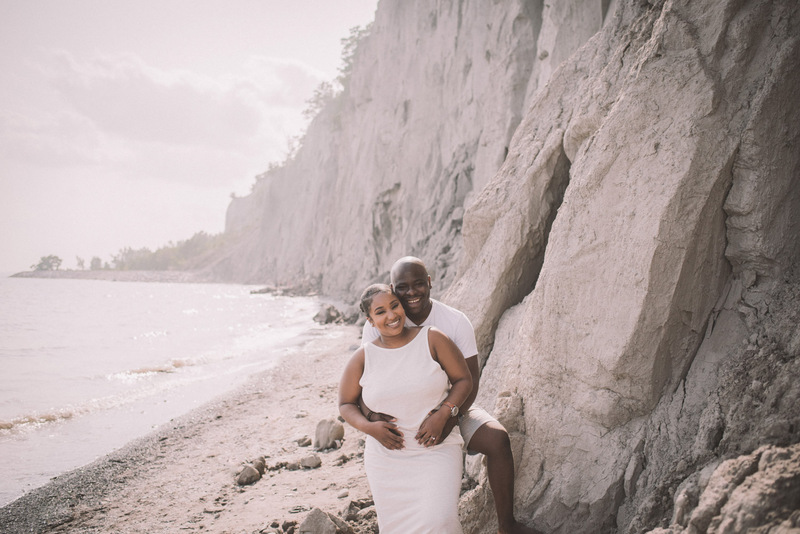 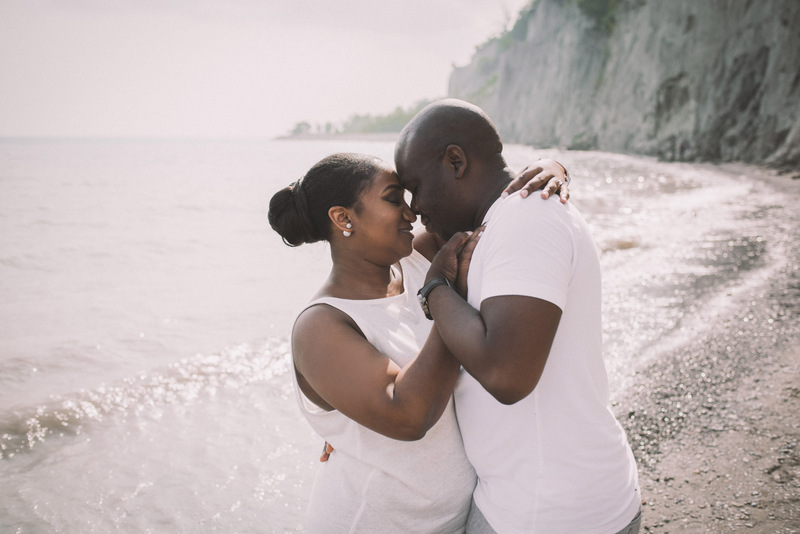 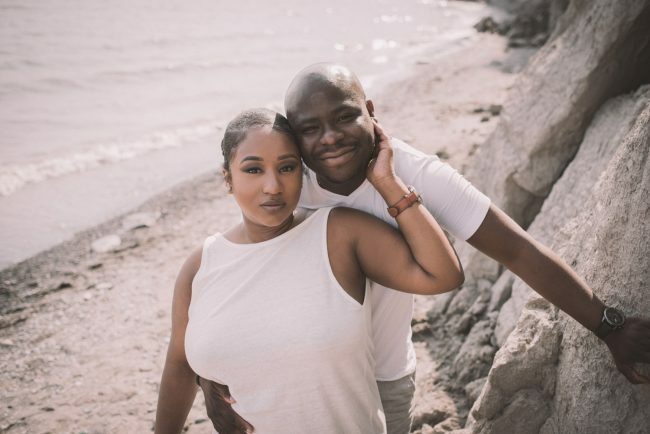 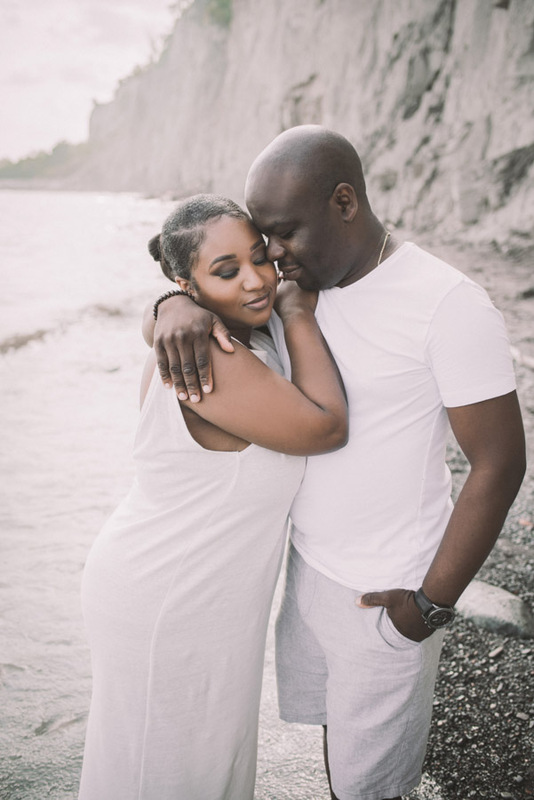 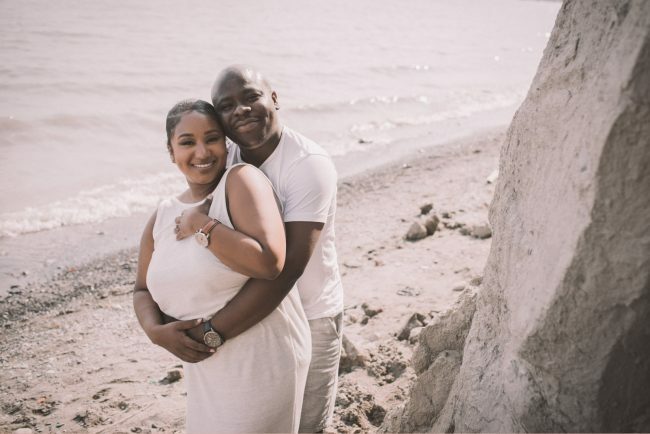 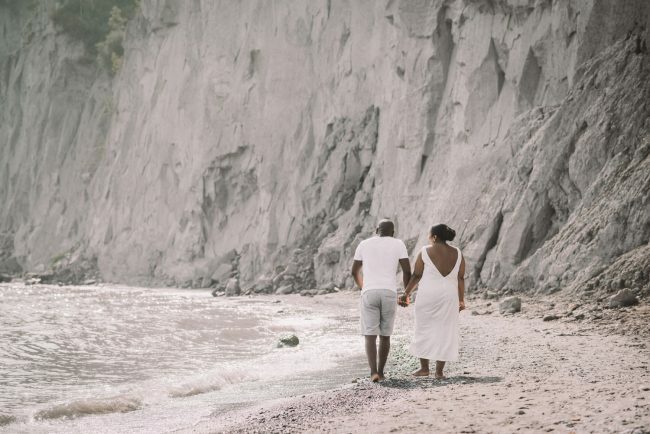 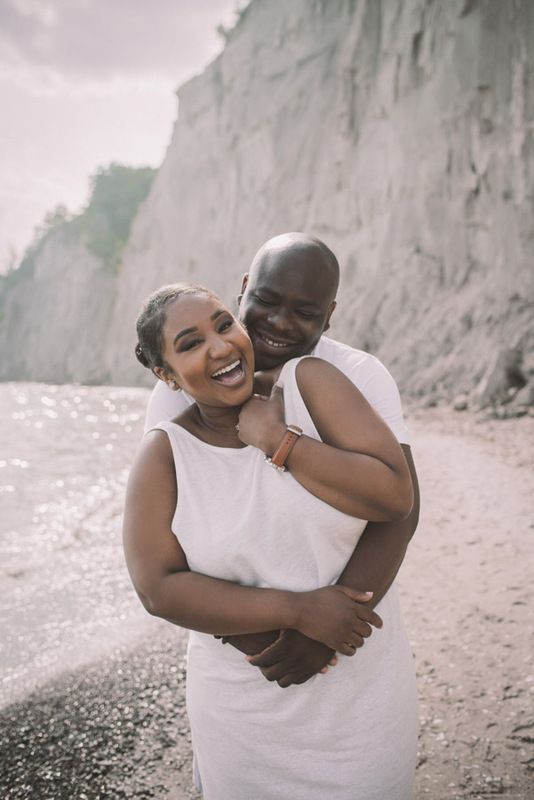 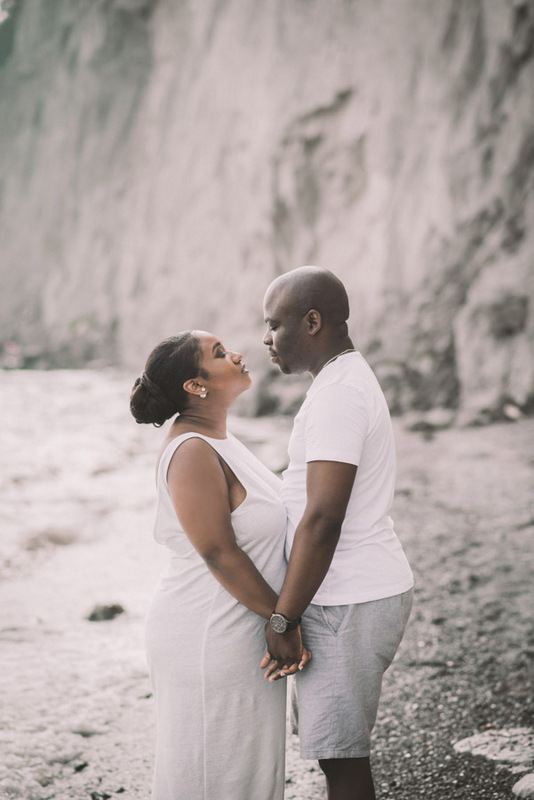 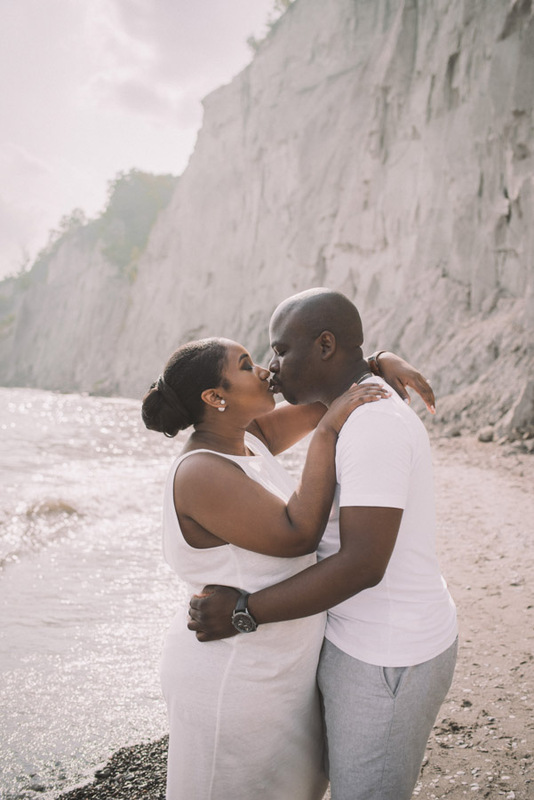 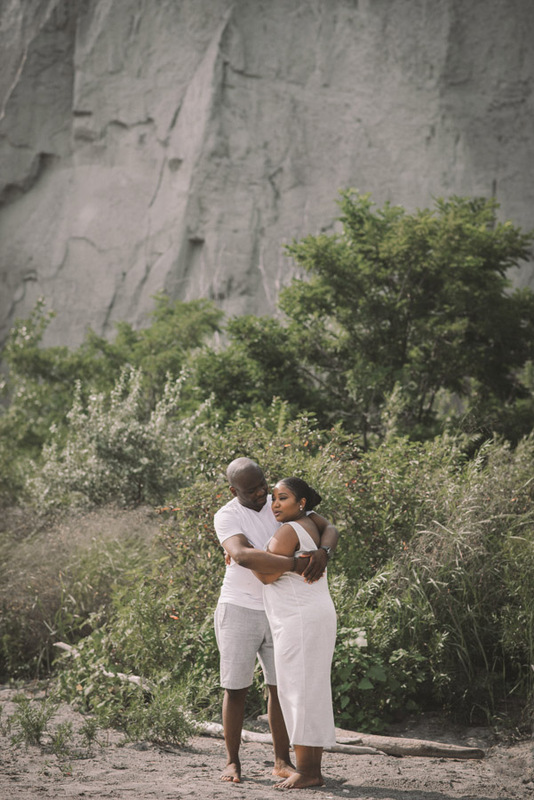 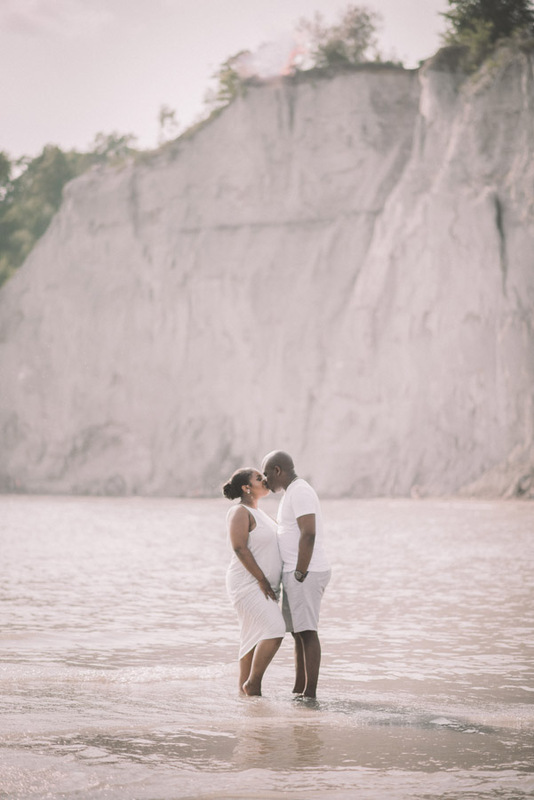 It involved a wedding in St. Jacob’s on Friday, a wedding in Fenelon Falls on Saturday, and THIS stunning engagement session at the Scarborough Bluffs on Sunday. Some people may think, “poor you, that’s such a busy weekend” – but I LOVE my work. 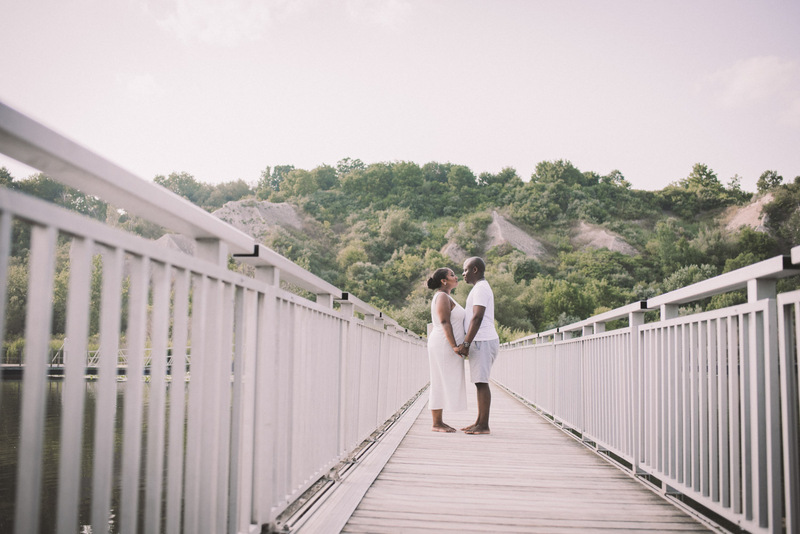 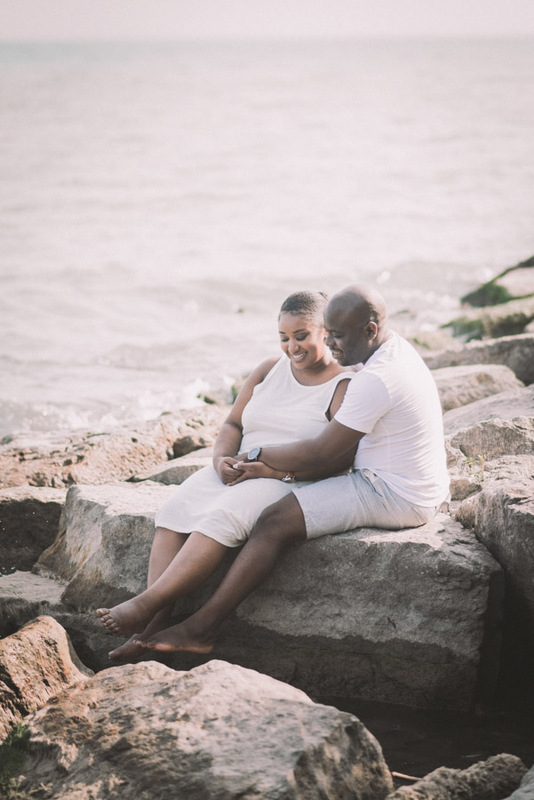 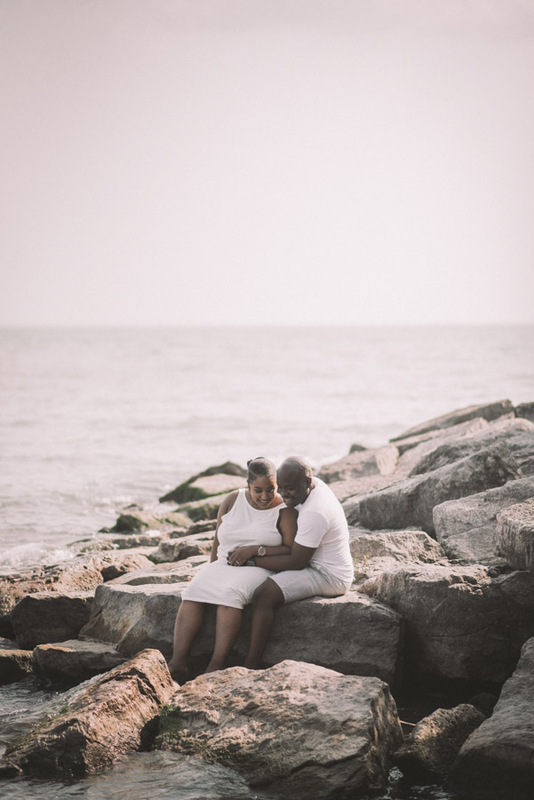 I love that I get to be outside on gorgeous days, meeting and working with amazing people such as this lovely couple. 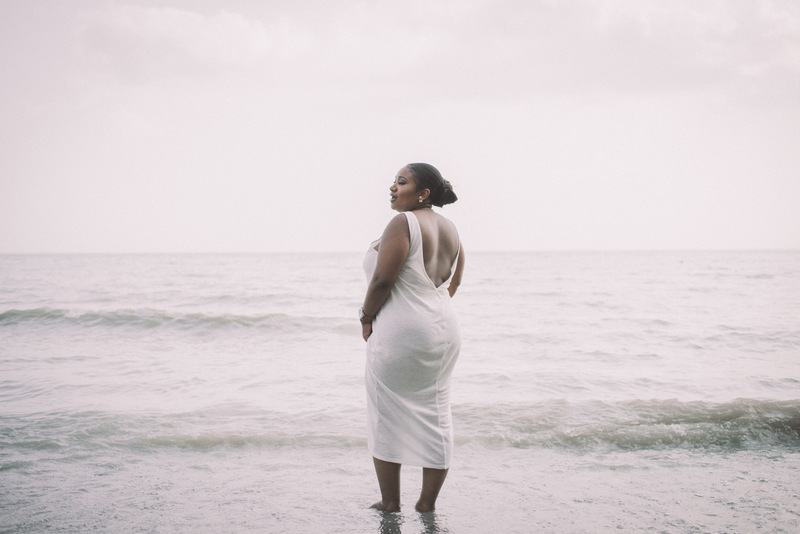 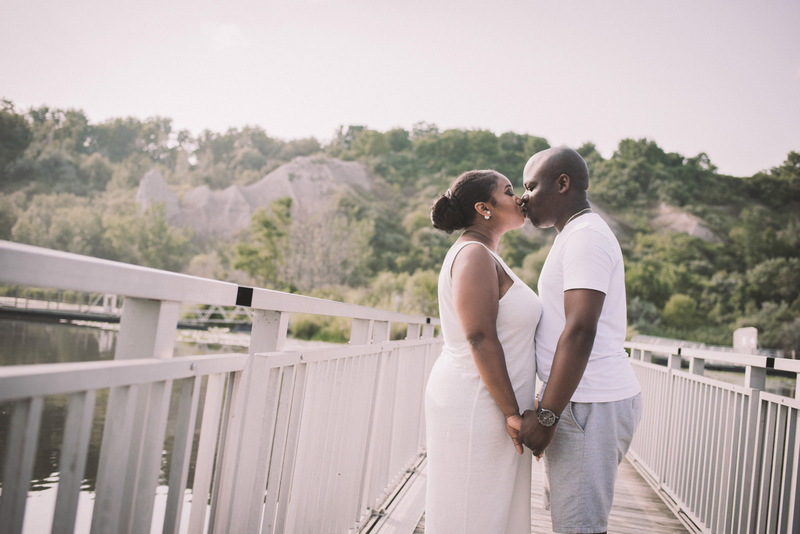 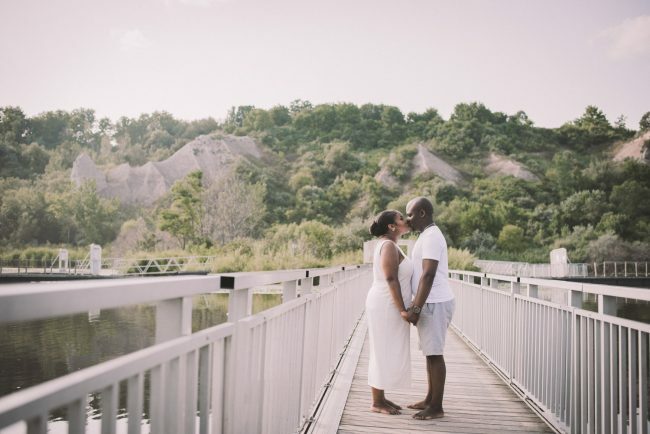 I’ve had a few editorial photoshoots at the Bluffs in the past, and I had been craving revisiting this unique waterfront space in Toronto for a lifestyle session of some kind. 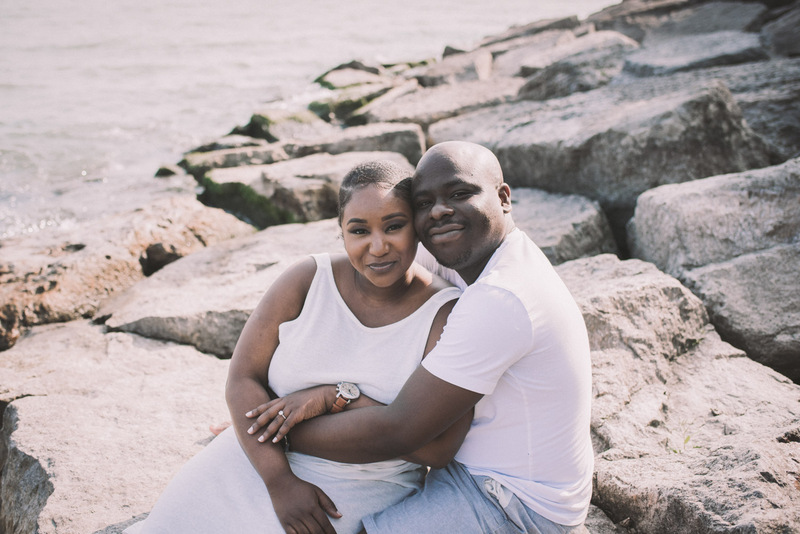 Fallon and Lio found me via this website (yay SEO!) 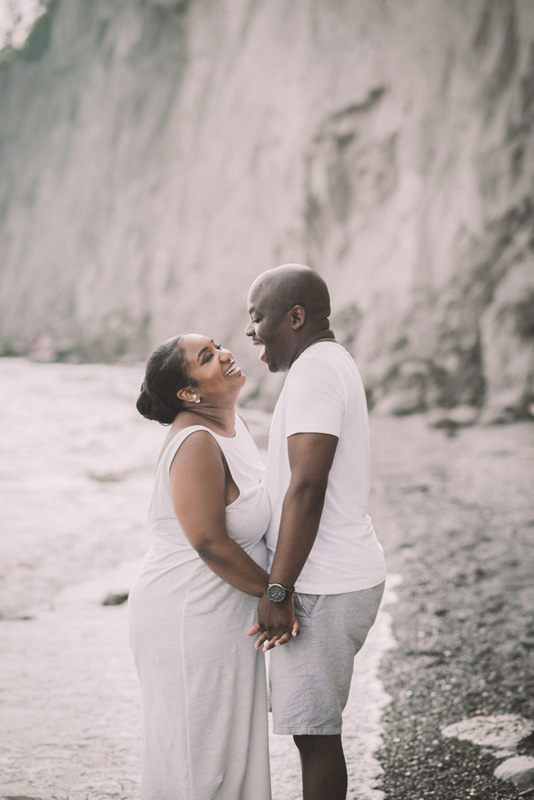 and during our Skype session I was totally smitten with their positive energy and laughter! 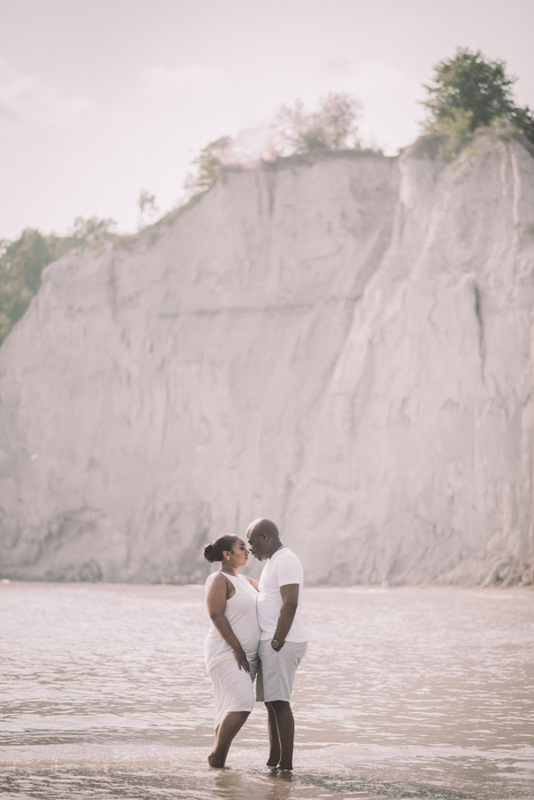 They suggested the Bluffs and I was so thrilled! 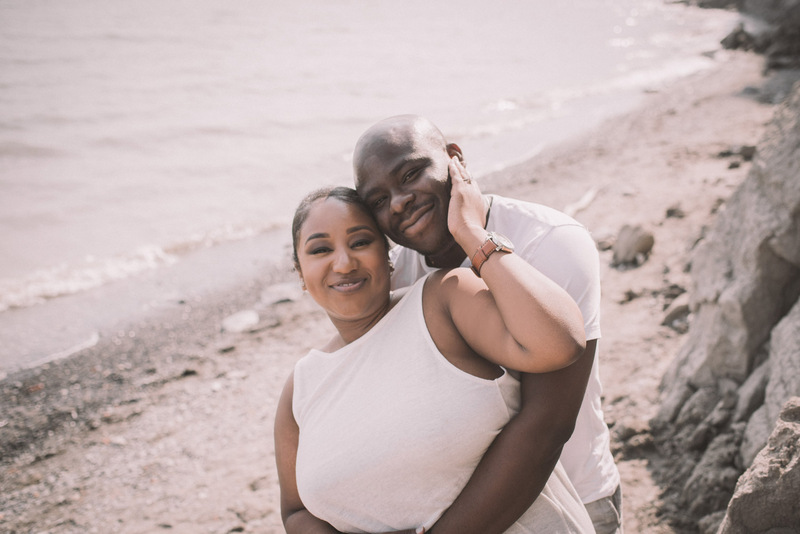 We met in the parking lot at the Bluffs and immediately hit it off. Walking around the park we had a great time and took these gorgeous photos. 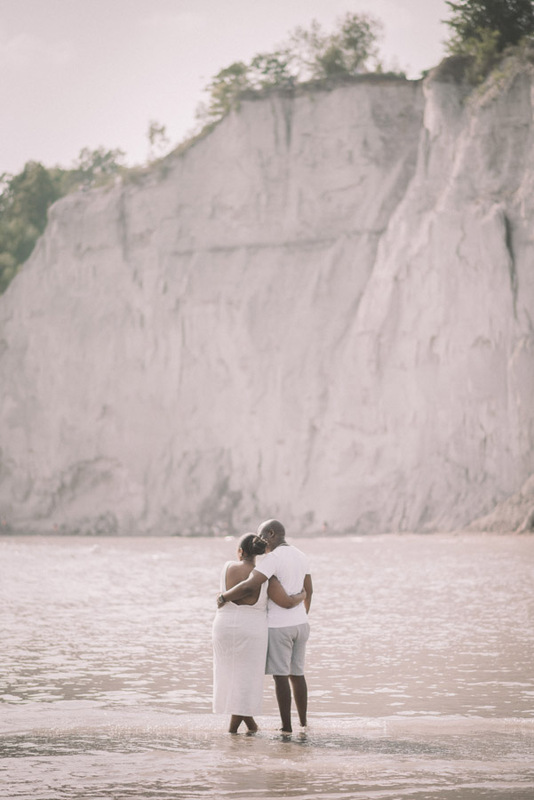 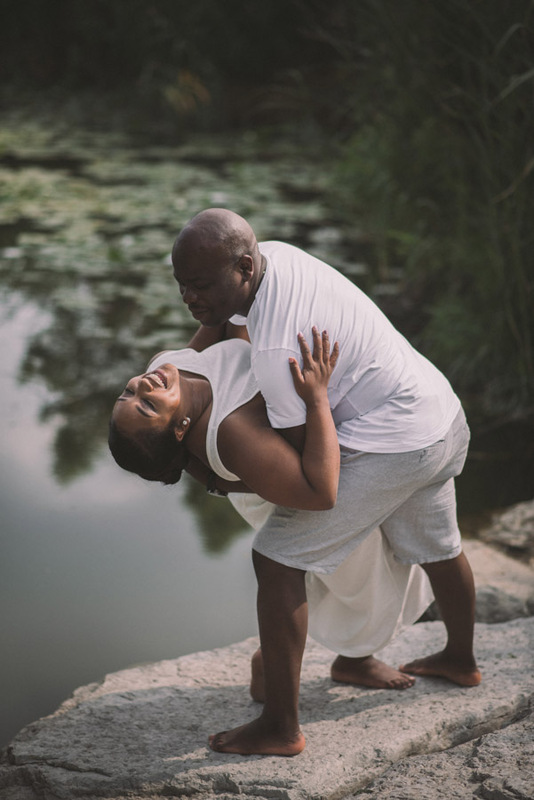 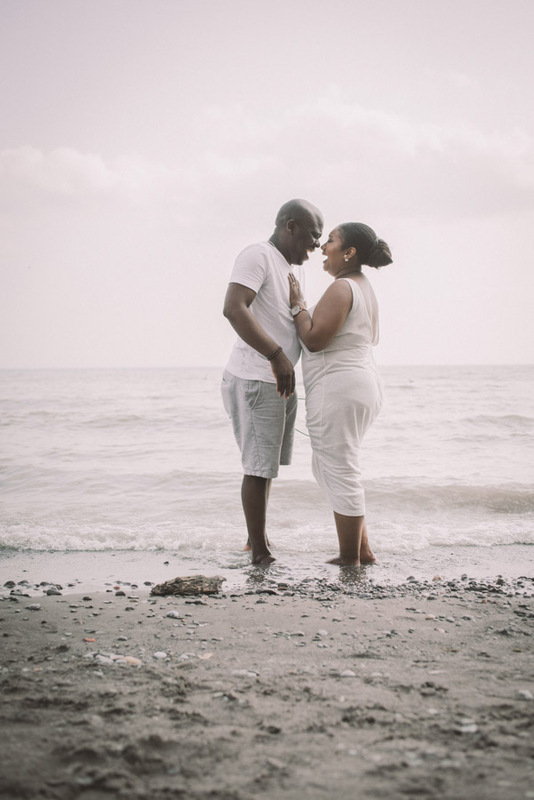 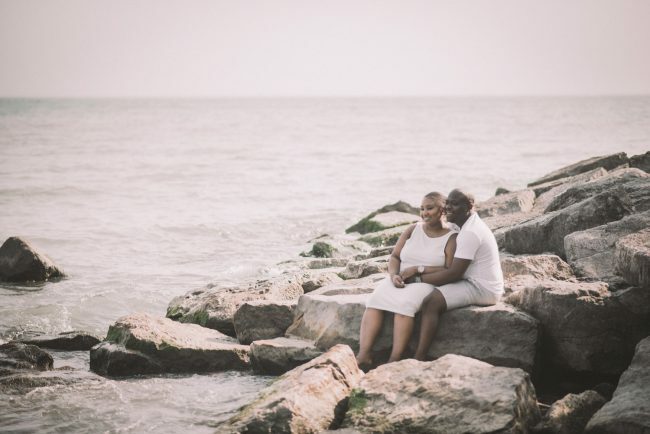 Love love LOVE these images! 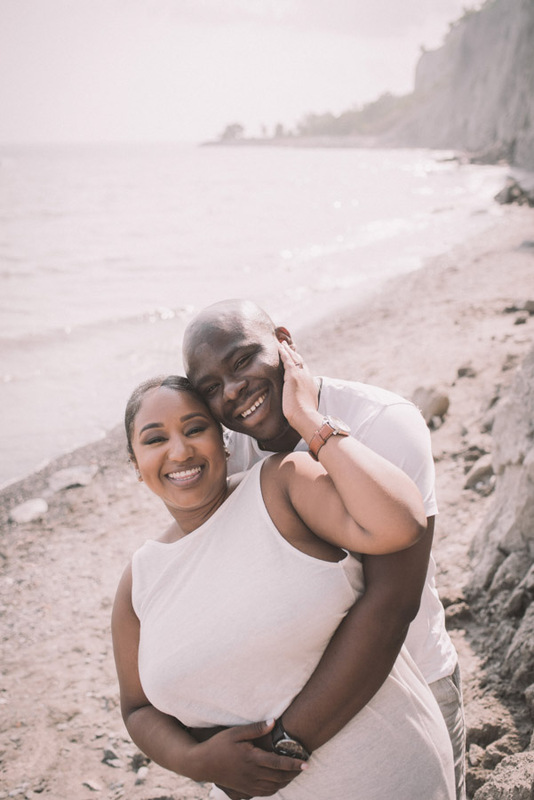 I cannot wait for their wedding day!